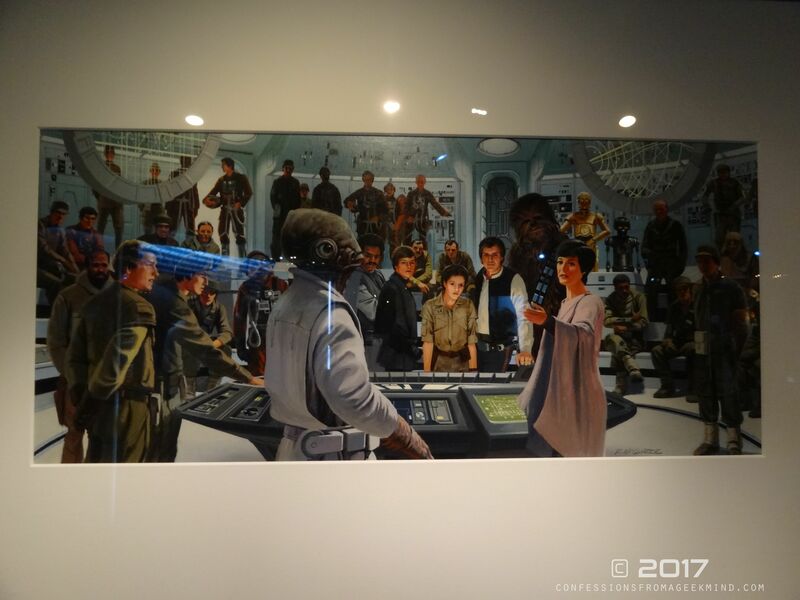 That in summary is what Star Wars Identities provides, a bold opportunity to explore the Star Wars universe as a unique interactive experience. 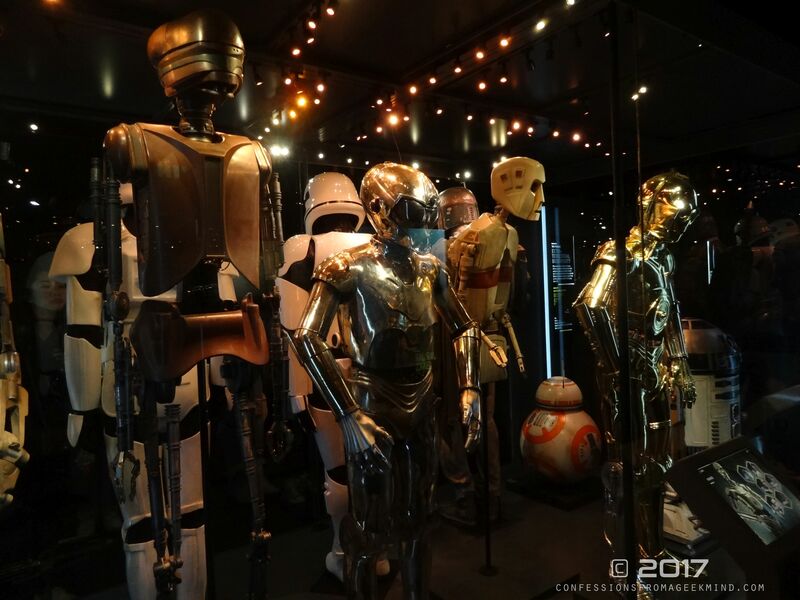 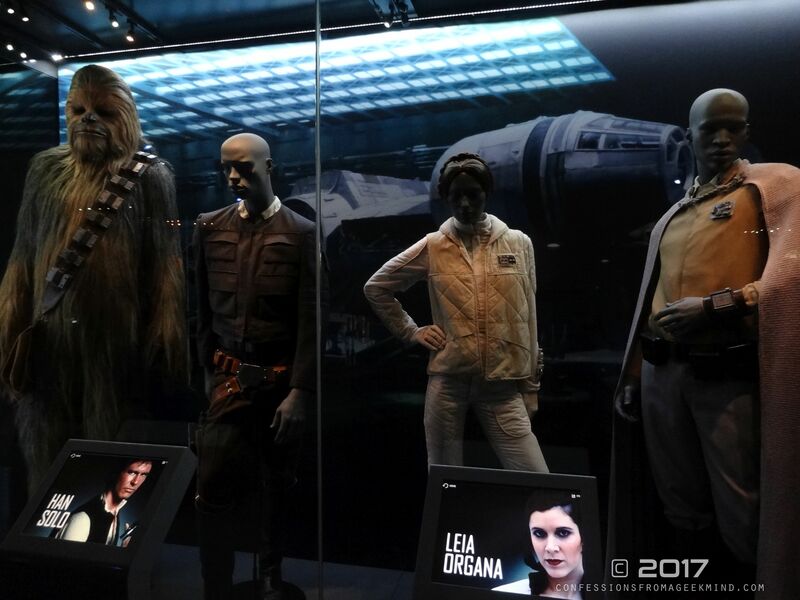 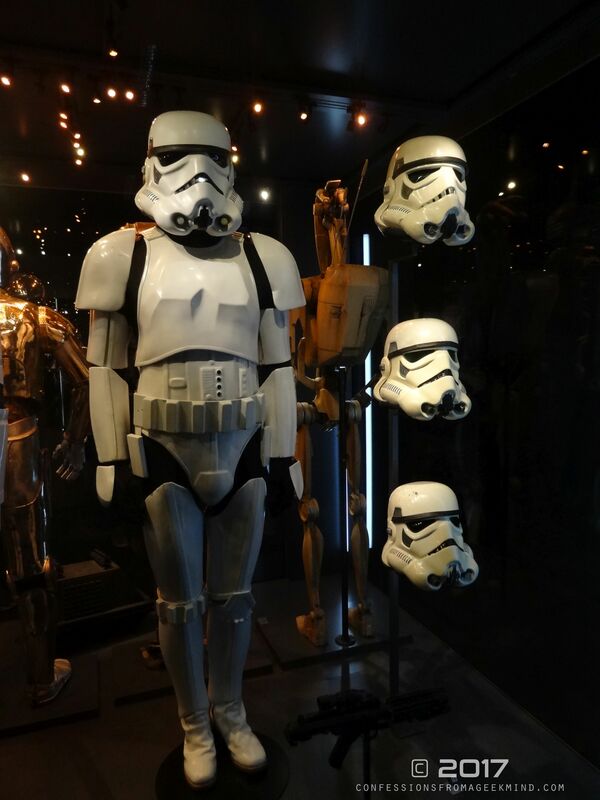 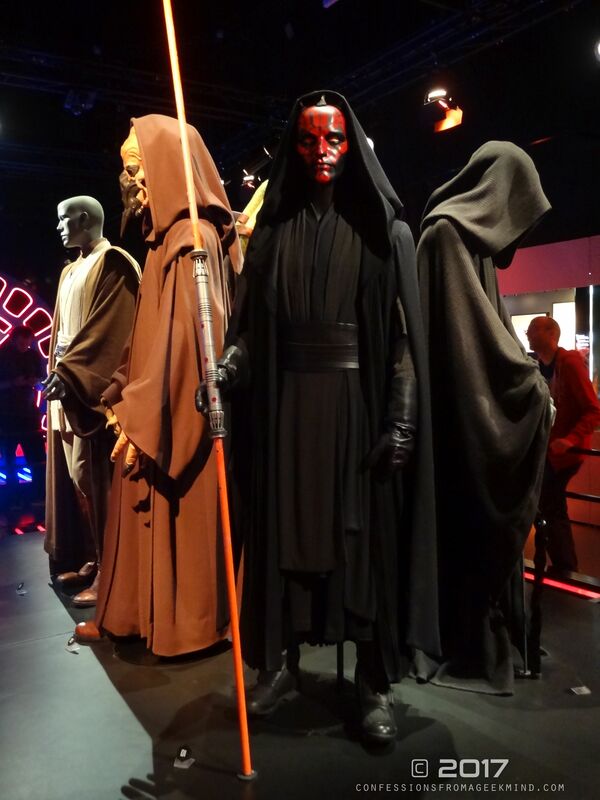 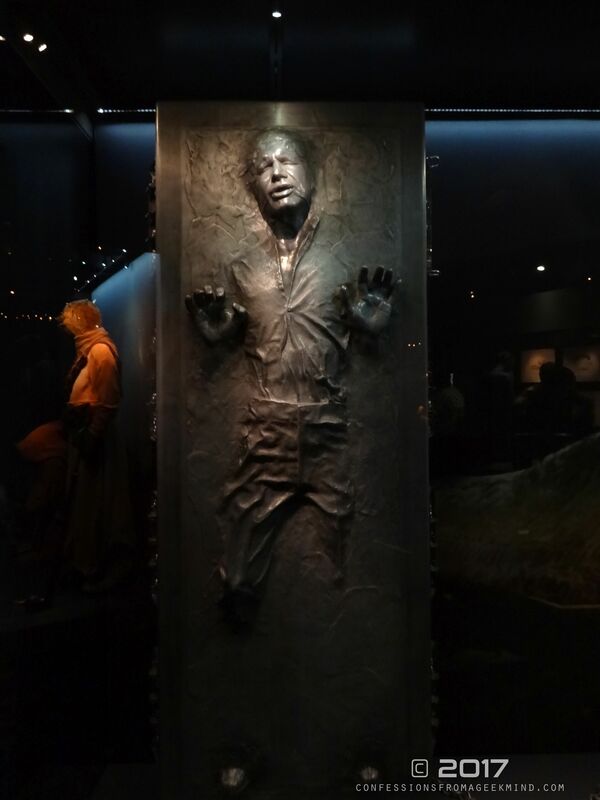 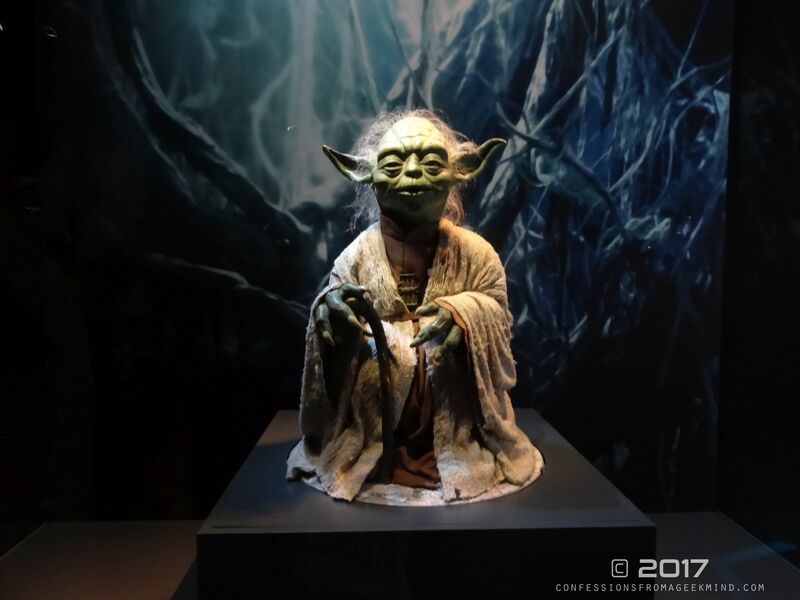 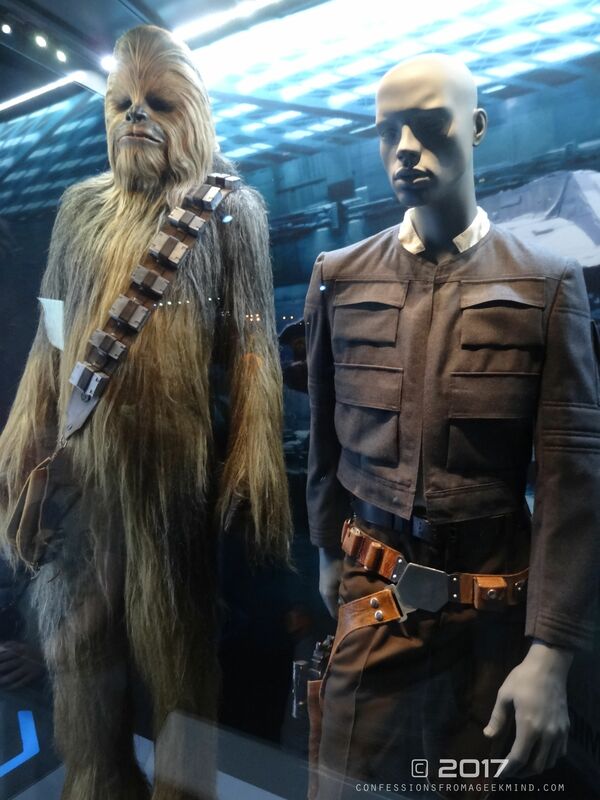 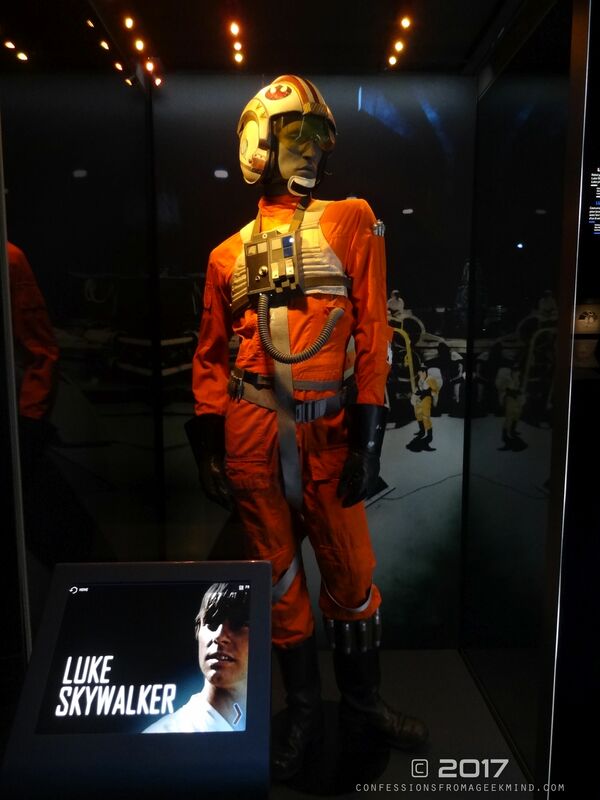 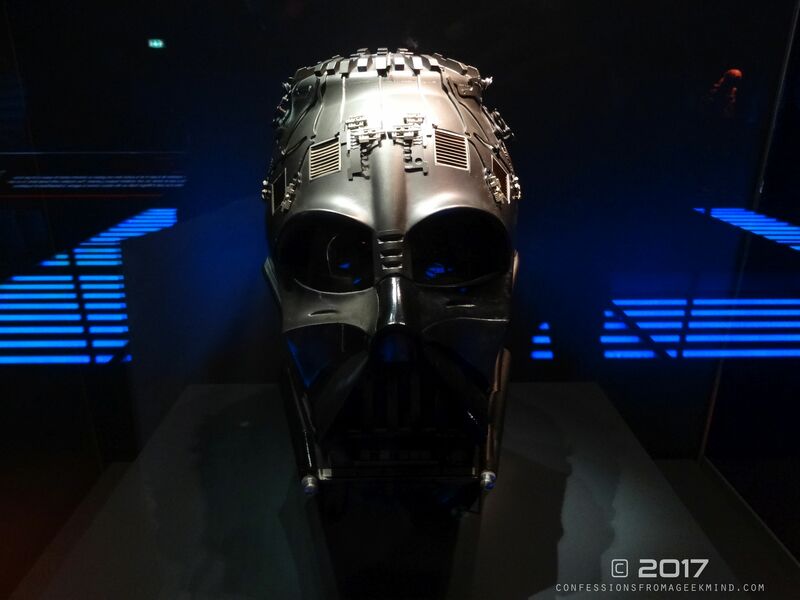 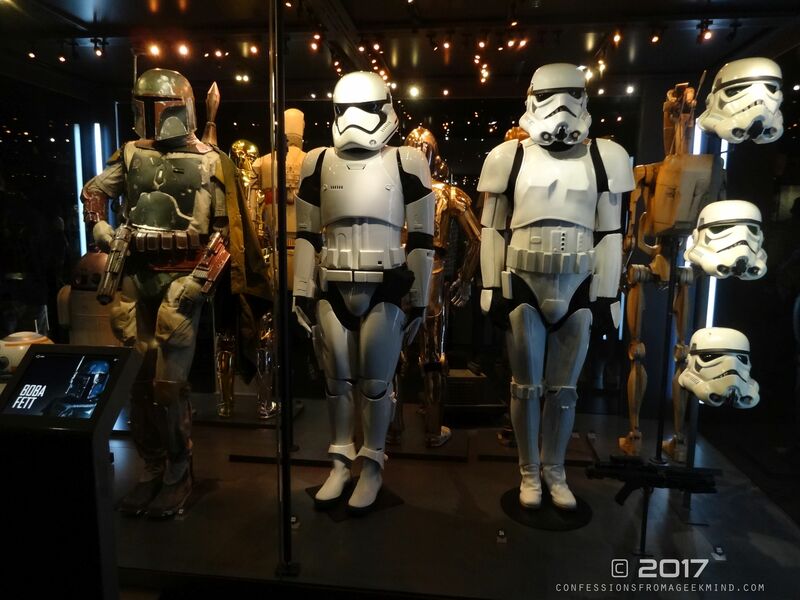 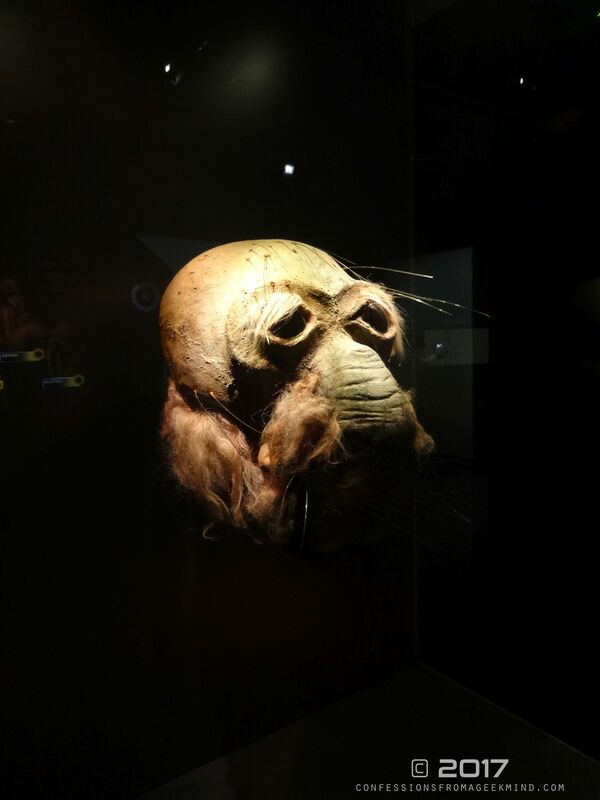 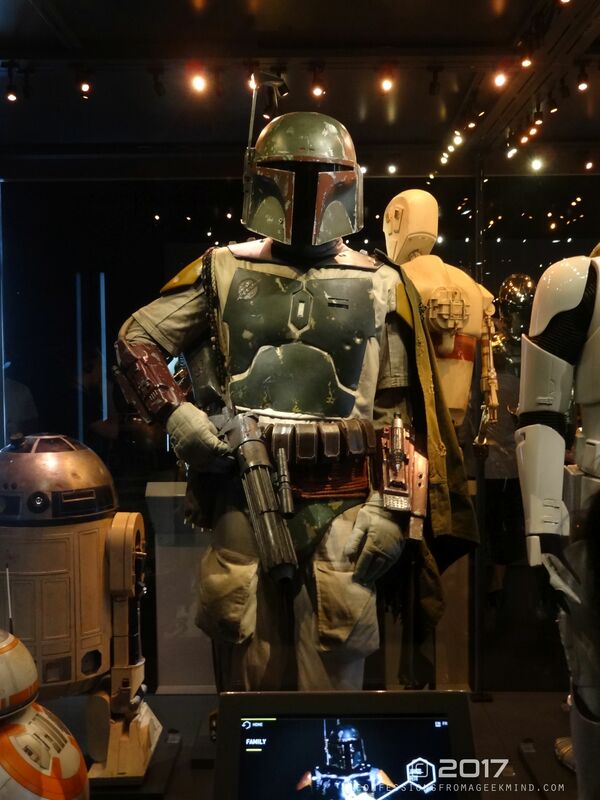 Located at The O2 in North Greenwich, London, Star Wars Identities asks its audience to let your imagination run wild and imagine the possibility. 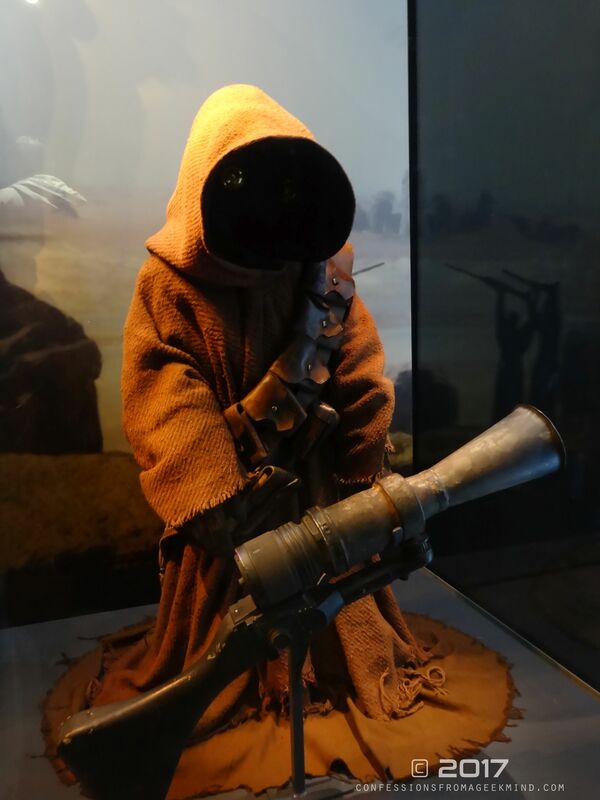 If you could invent a character in the Star Wars Universe, what would it be? 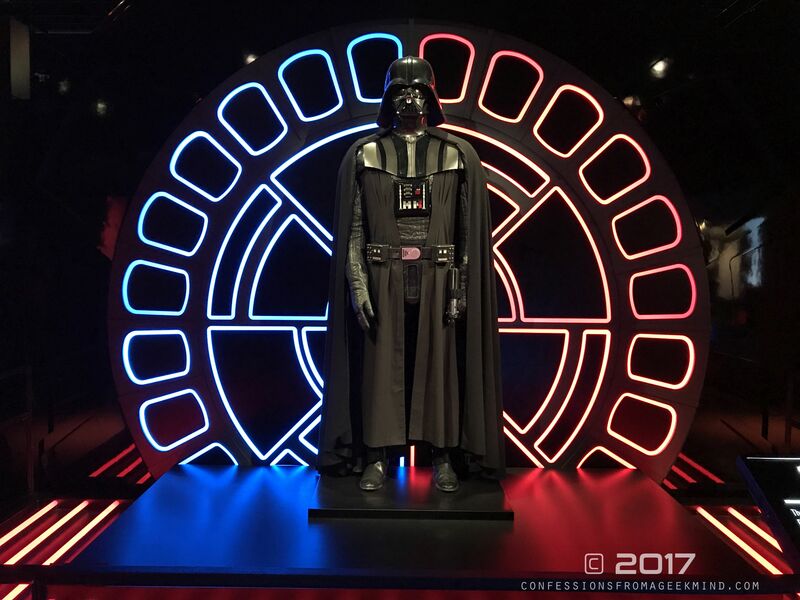 What species, genetics, occupation or background would shape you into the ultimate choice between the light or dark side of the force? 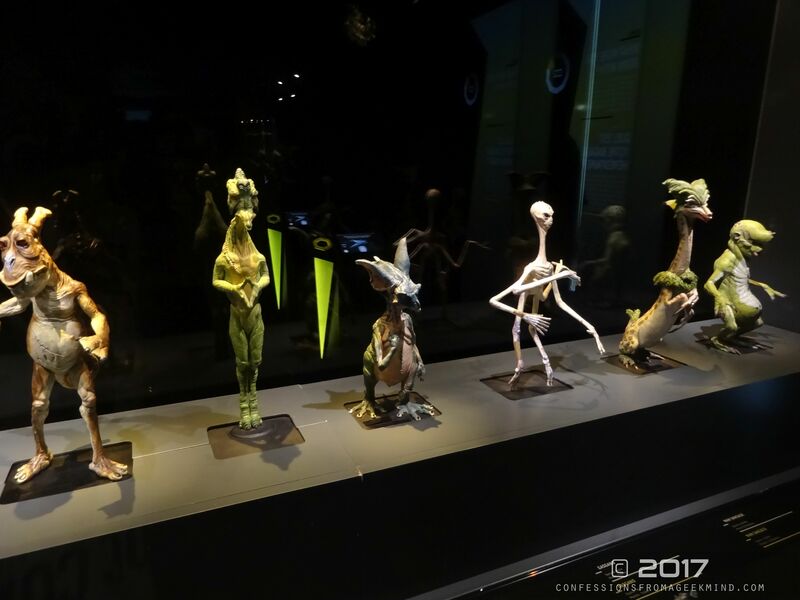 This playful psychological examination is the real enjoyable highlight of this impressive exhibit. 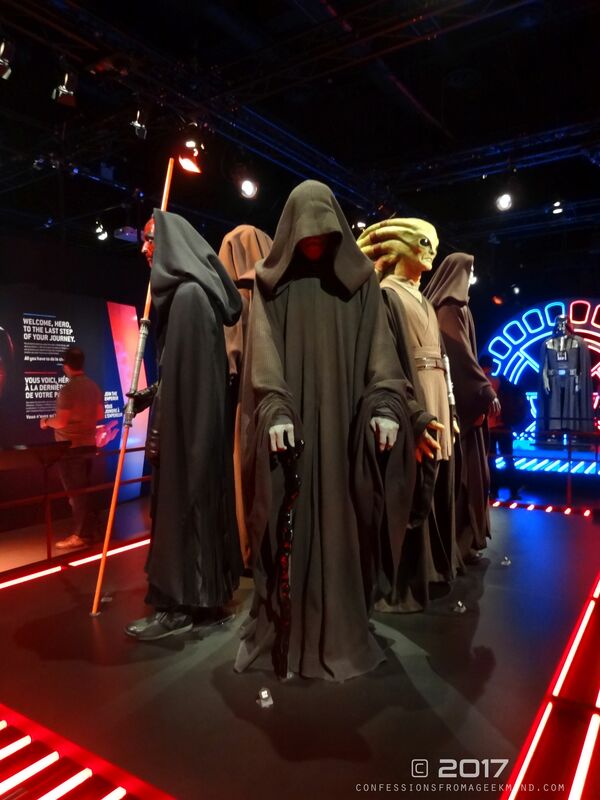 Before you enter you’re given a wristband and earphone set to help you discover your inner Star Wars character. 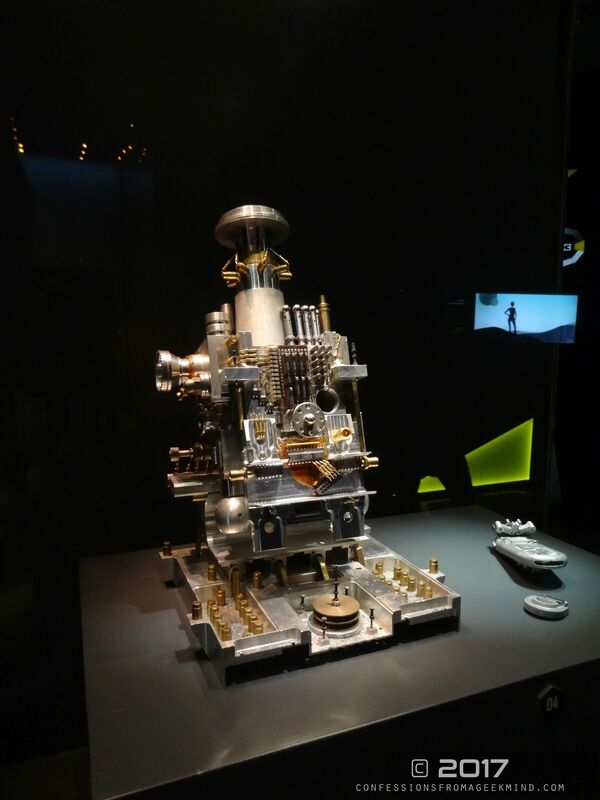 Located throughout the tour are interactive hubs which encourages you to scan, engage and unleash your creativity. 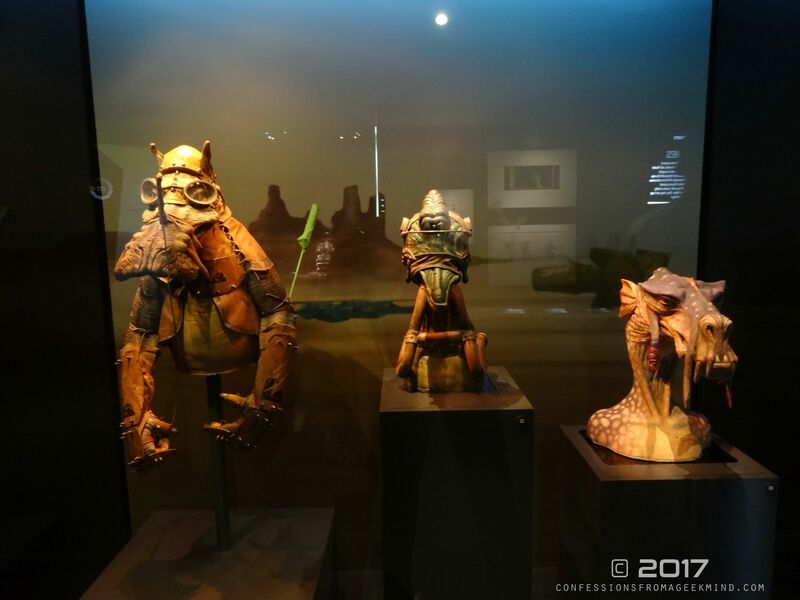 Think of the exhibit as parenting 101. 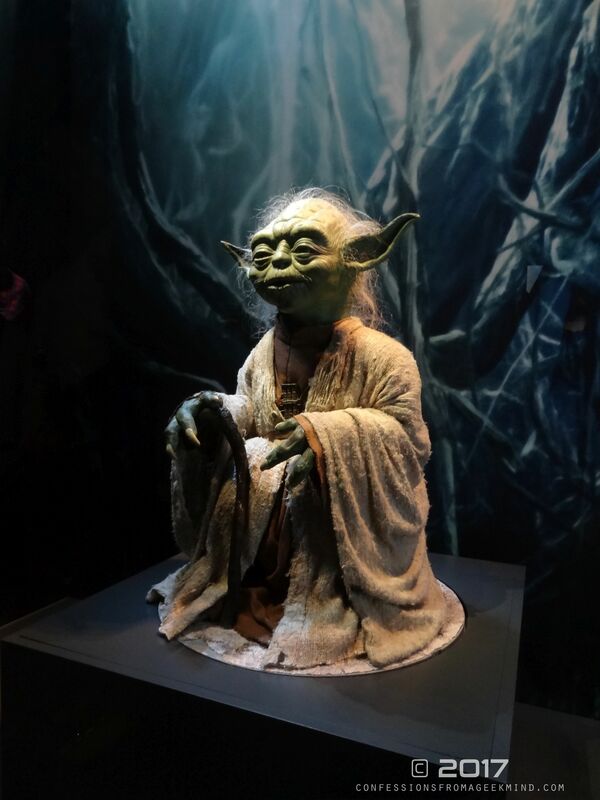 As you reach certain cue points, the interactive videos break down conditional aspects that might influence your nature versus nurture decisions. 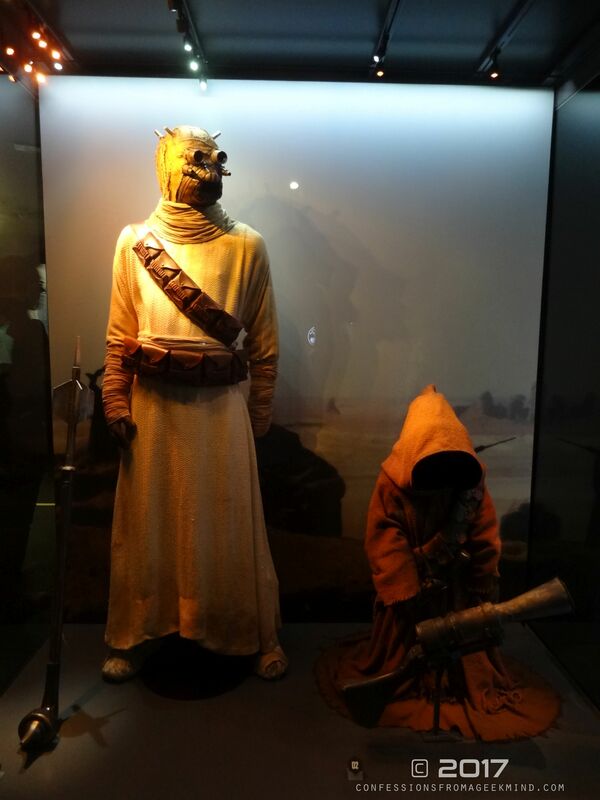 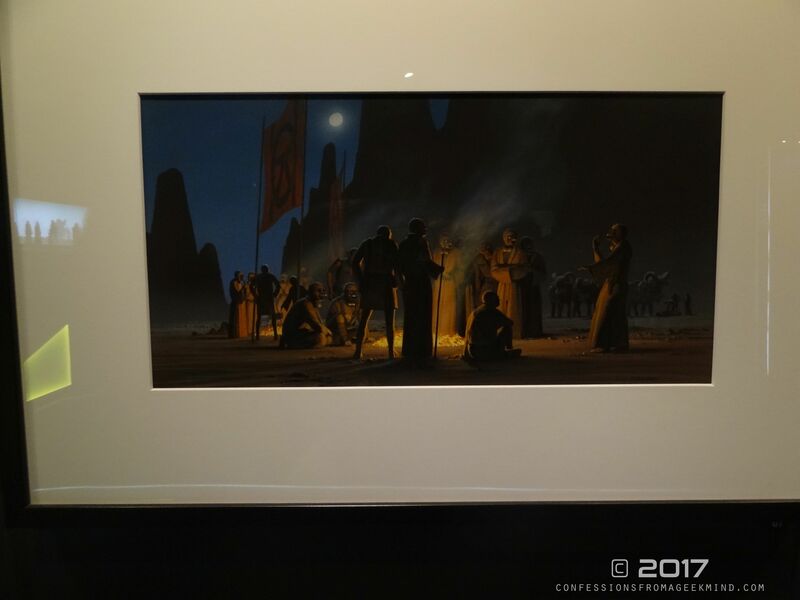 The fact that Star Wars Identities heavily relies on the examples of Anakin and Luke Skywalker necessarily becomes a duel reflection of their upbringing and path to their respective forces. 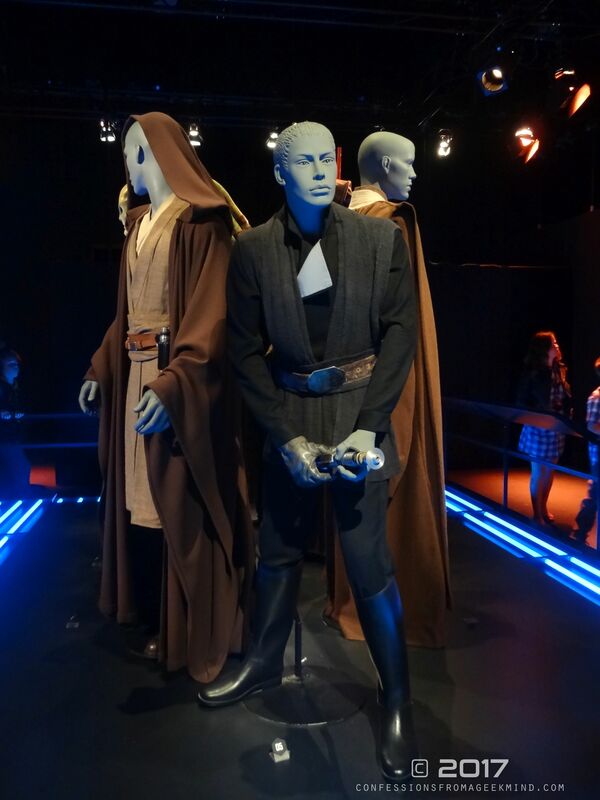 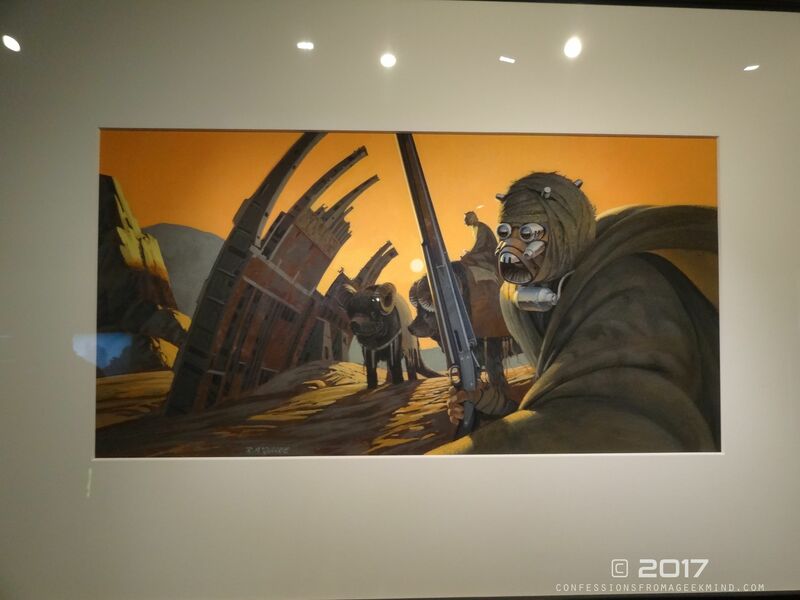 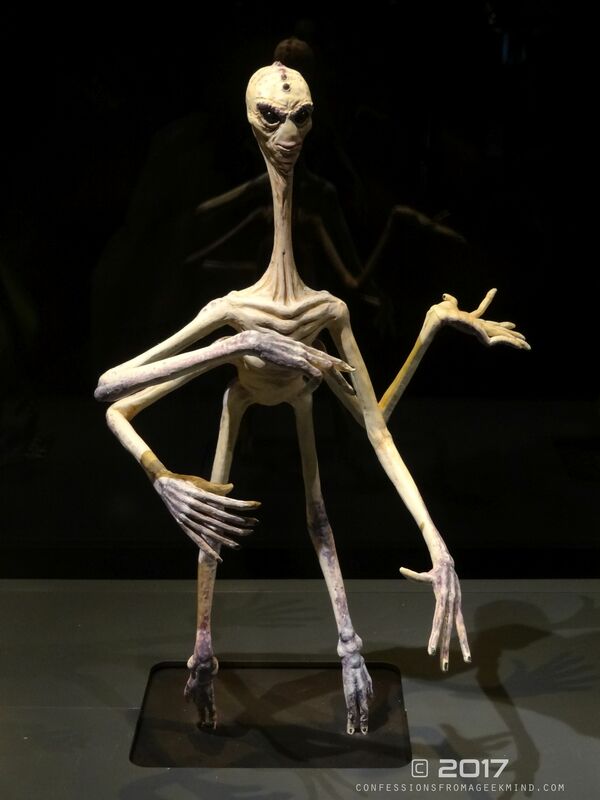 Personally I’m not a huge fan of the prequel trilogy but loved how it was integrated within the exhibit, a justifiable acknowledgement that forces you to look beyond film preferences but to examine the deeper psychology and in-depth behaviour that’s synonymous throughout the series. 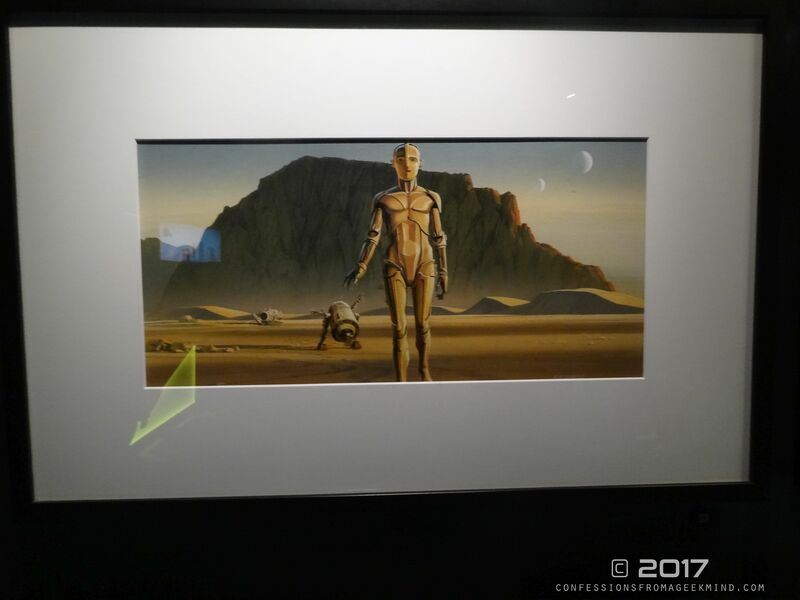 It’s not to say that element wasn’t recognised before but the exhibit provides that extra validation. 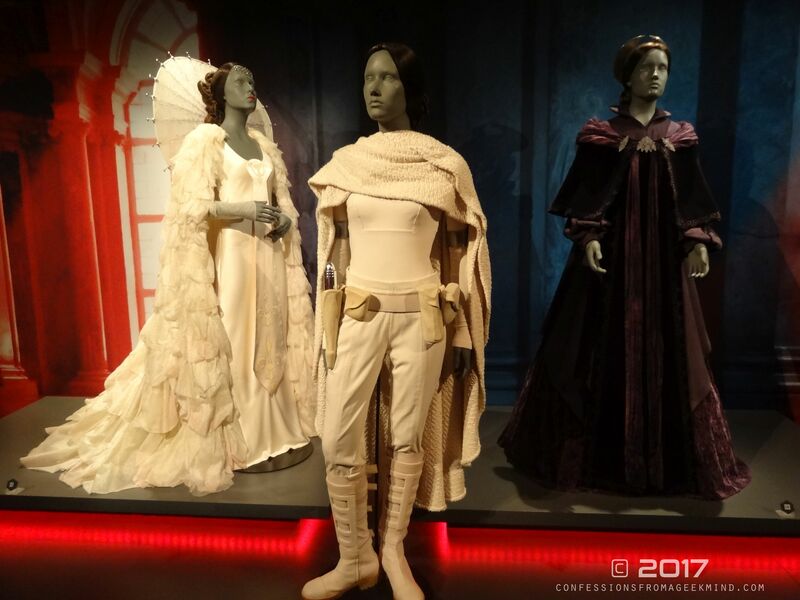 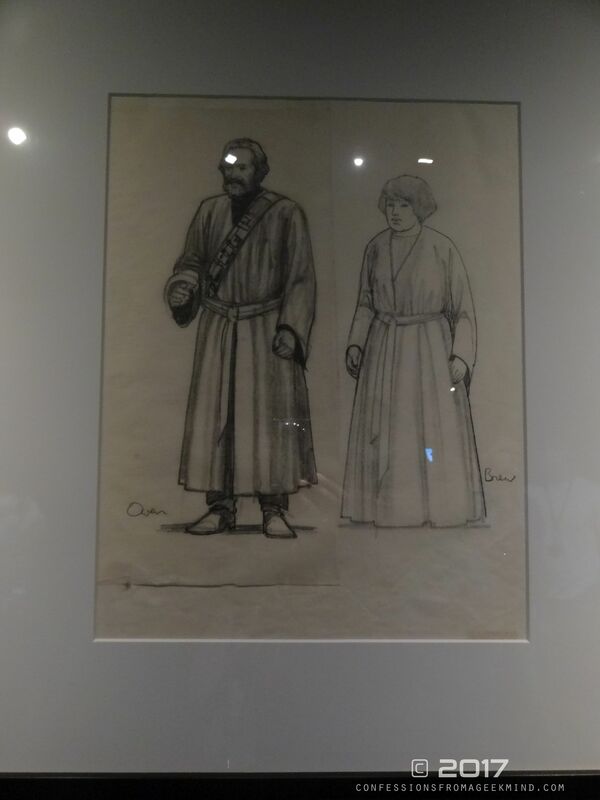 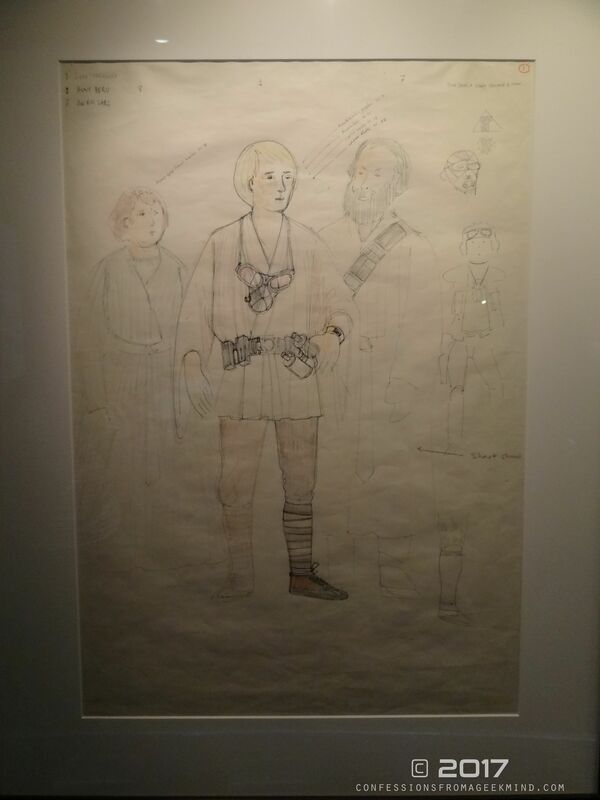 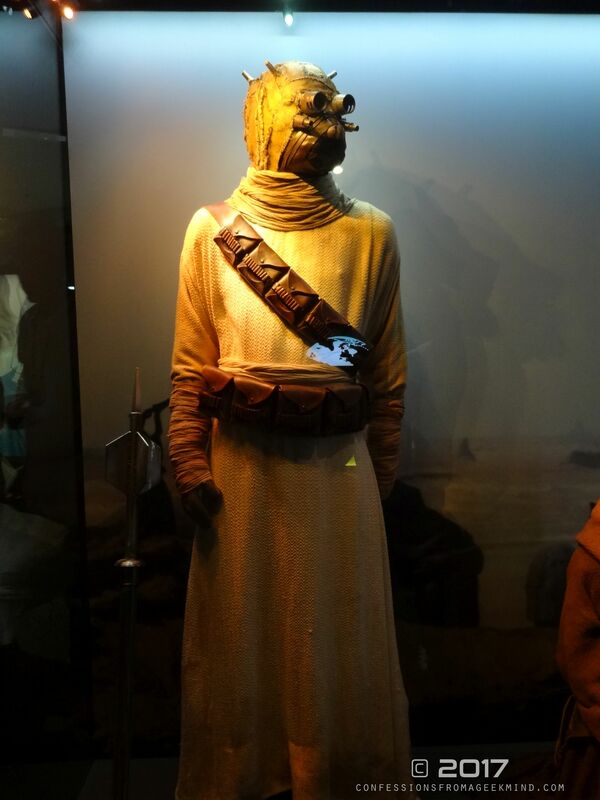 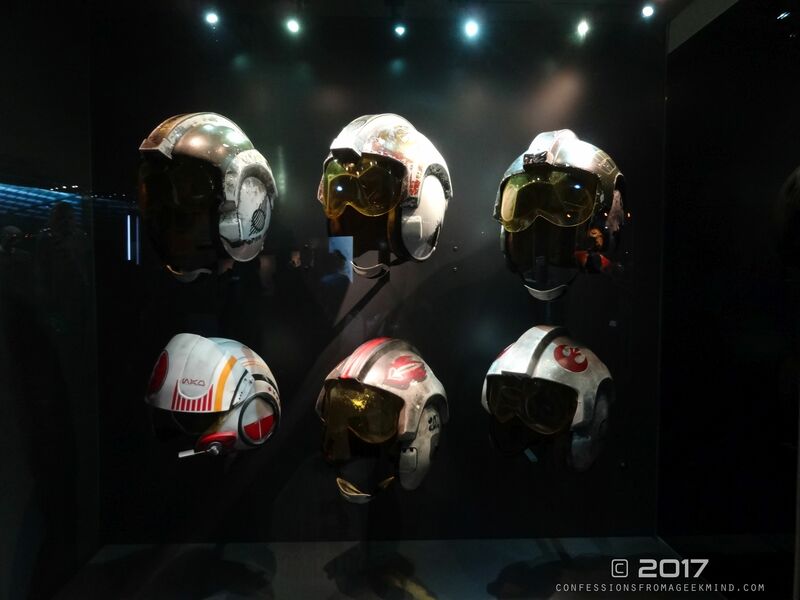 As you’re swept up in character analysis you’re also surrounded by props, costumes and models from the Lucasfilm archives and vaults. 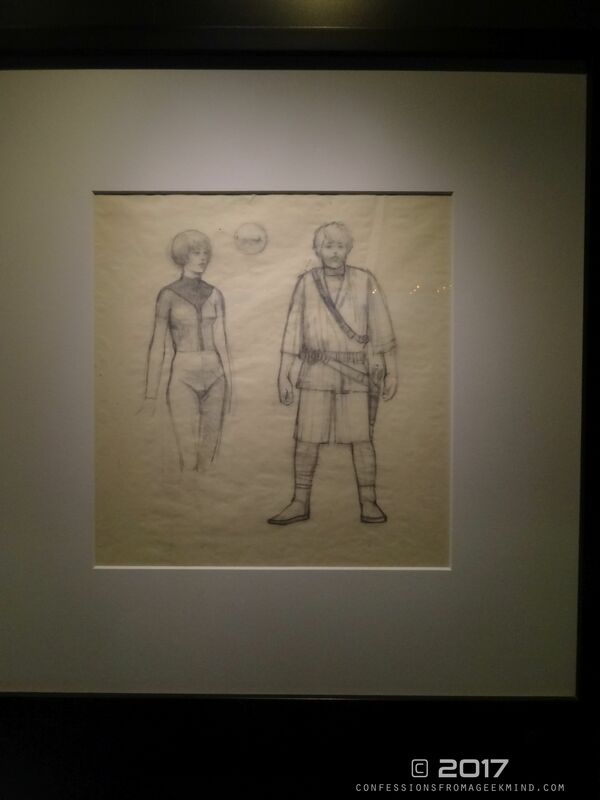 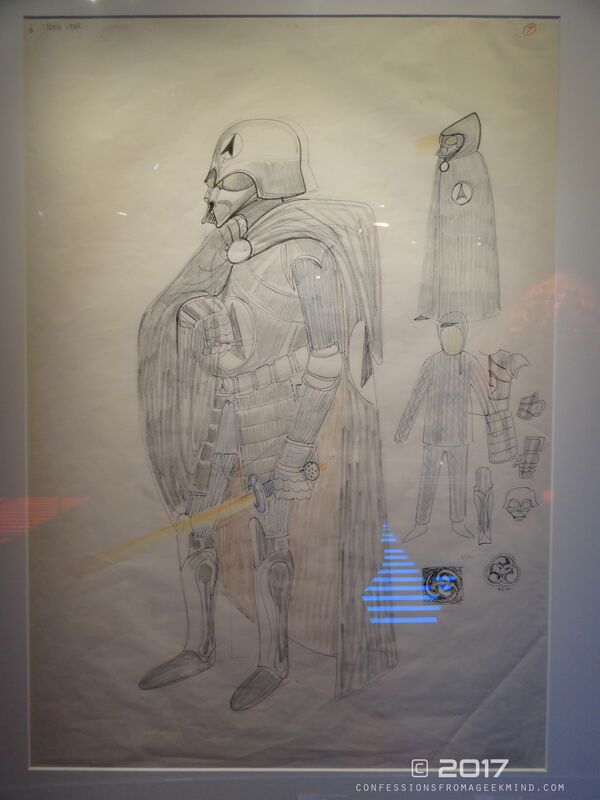 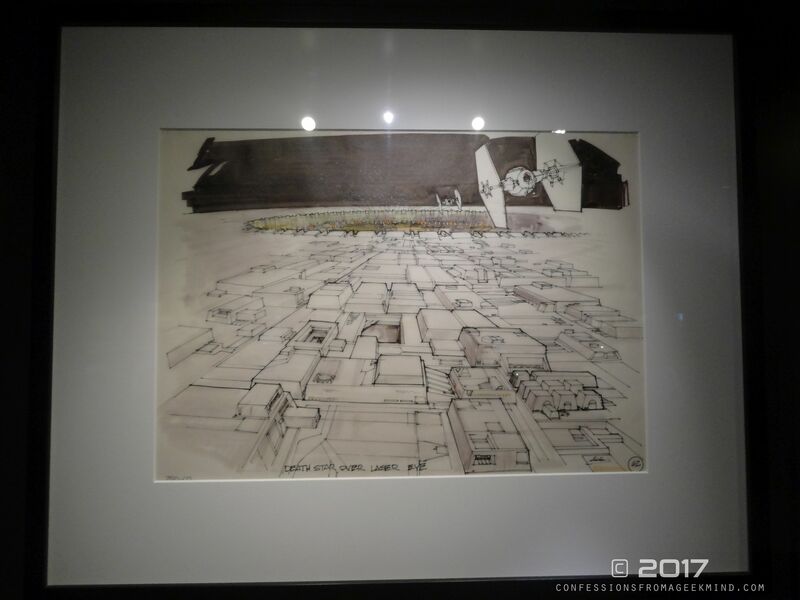 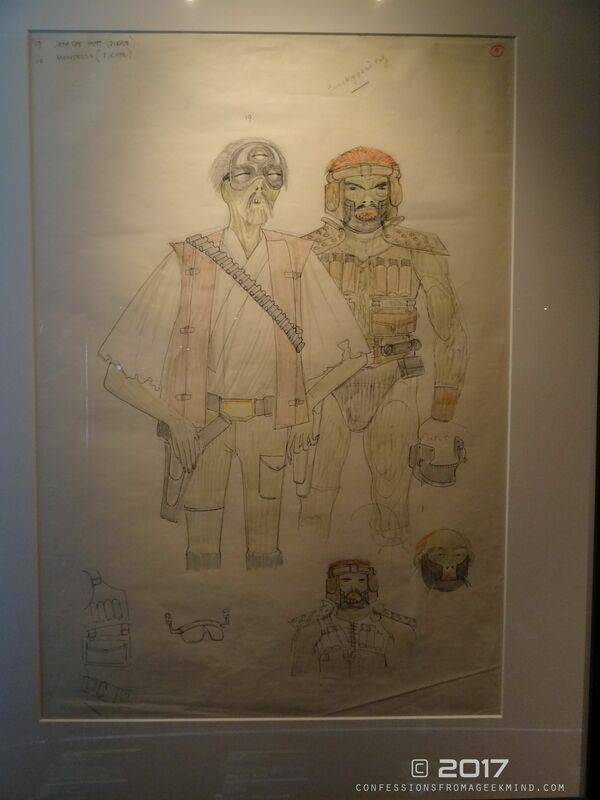 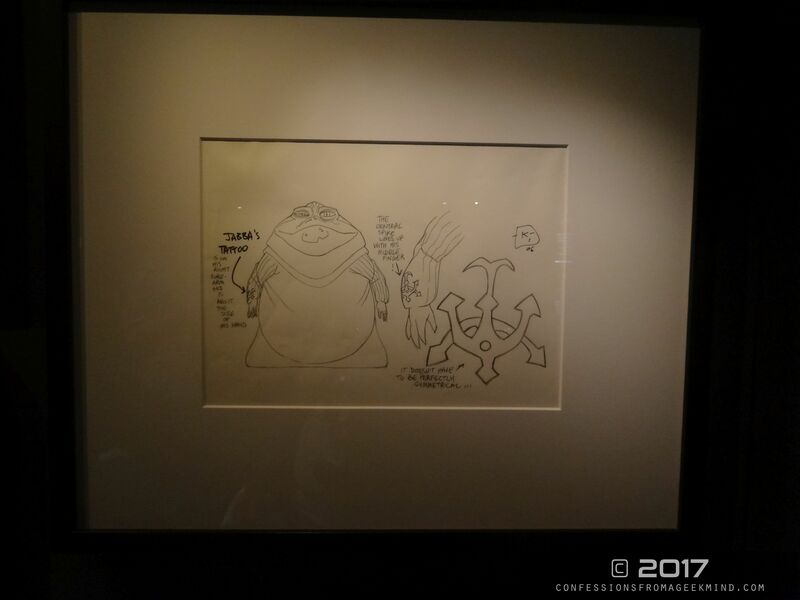 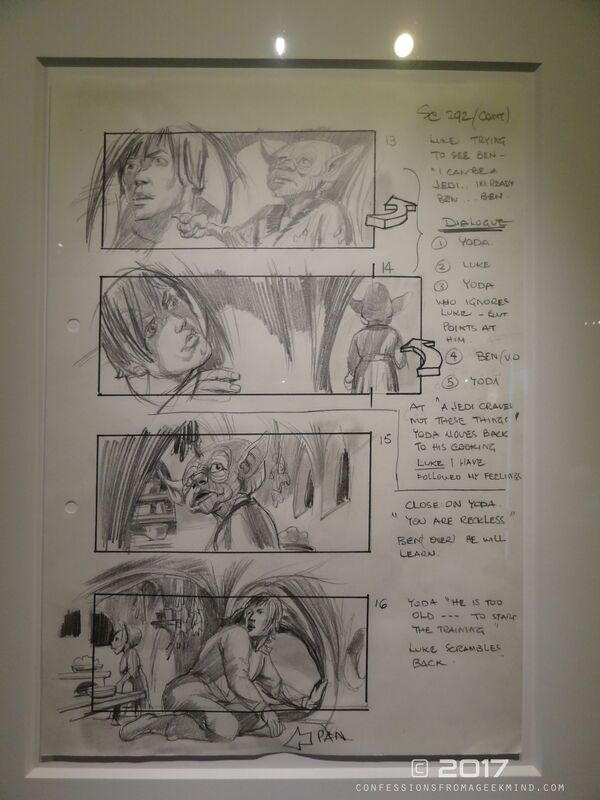 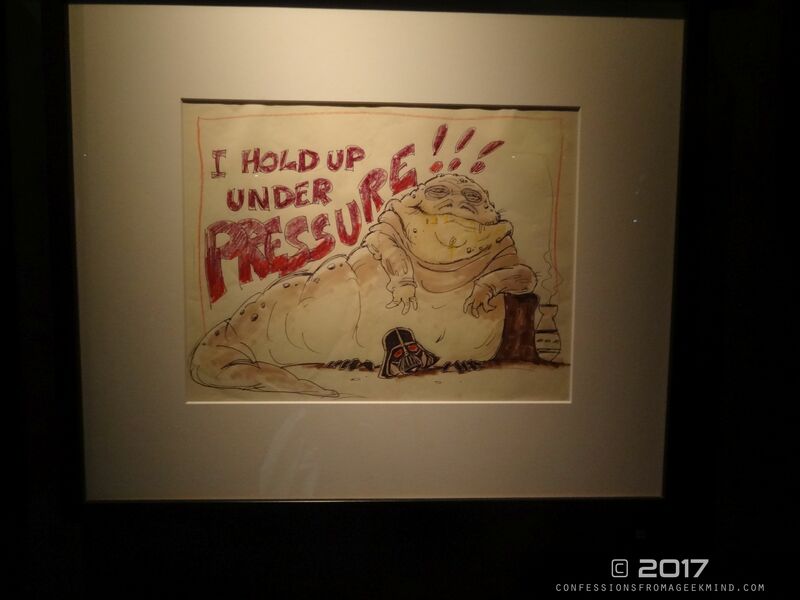 Most of the artwork on display belonged to the works of Ralph McQuarry and the original drawings and conceptual art allowed the audience to see the eventual progression of character ideas from start to finish. 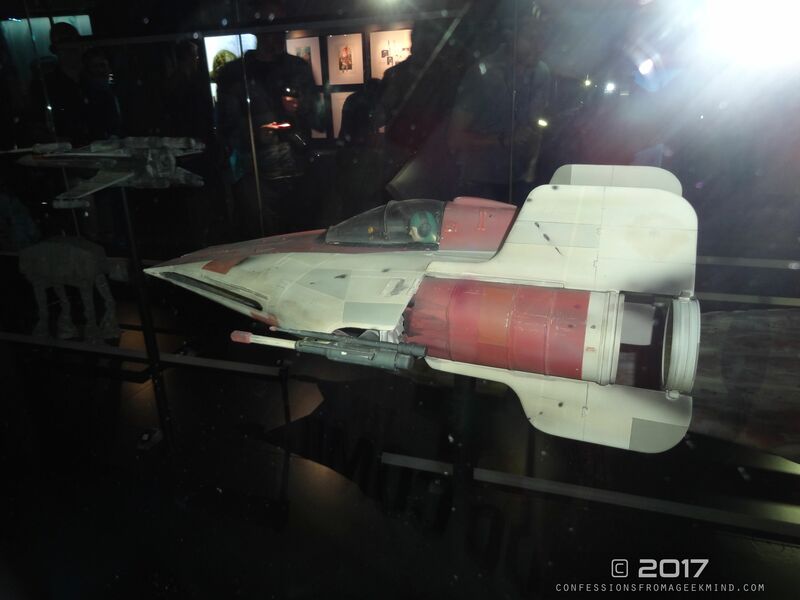 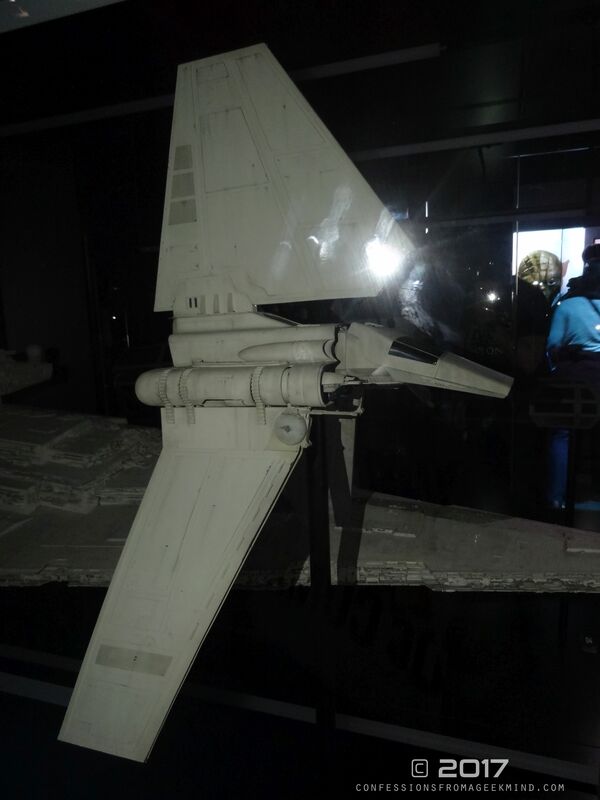 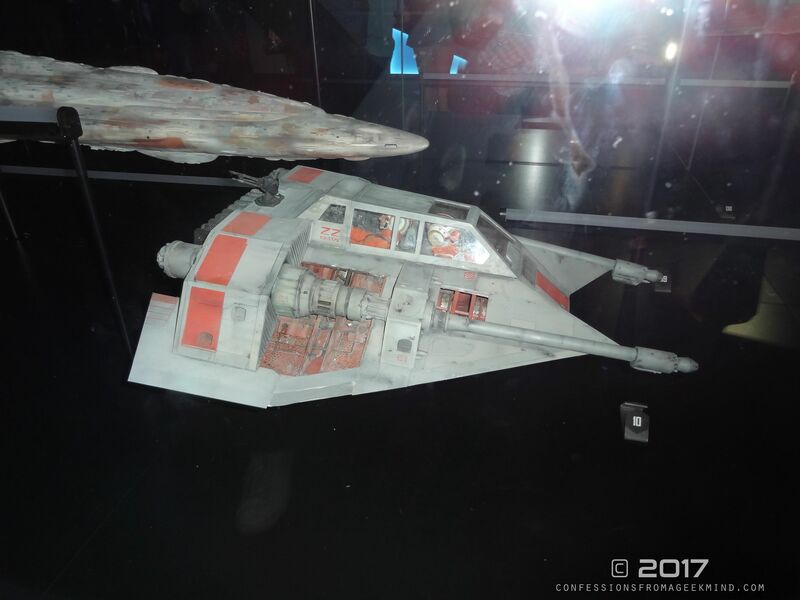 If there was one disappointing aspect to the exhibit then it belonged to the scale models of the TIE Fighters, X-Wings and other Star Wars related space ships. 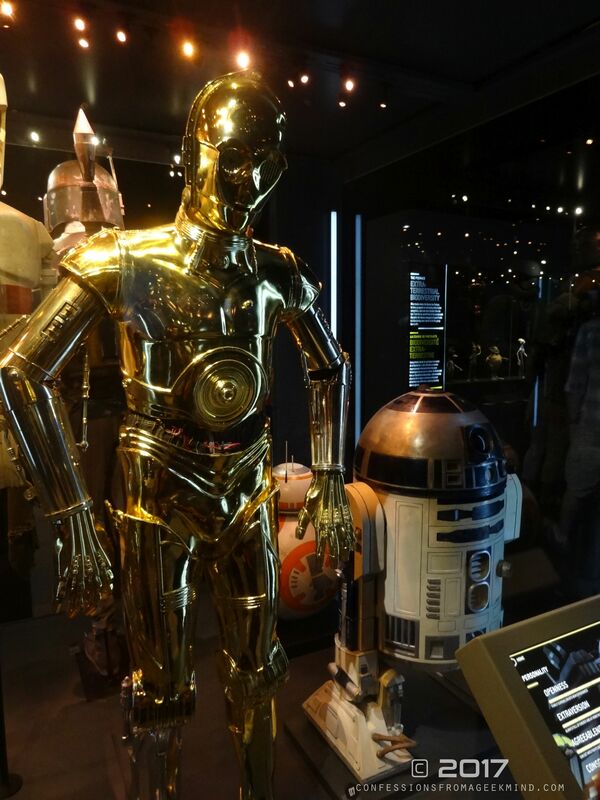 The display lights were not working and despite the strict warnings about no flash photography, on this occasion it couldn’t be helped. 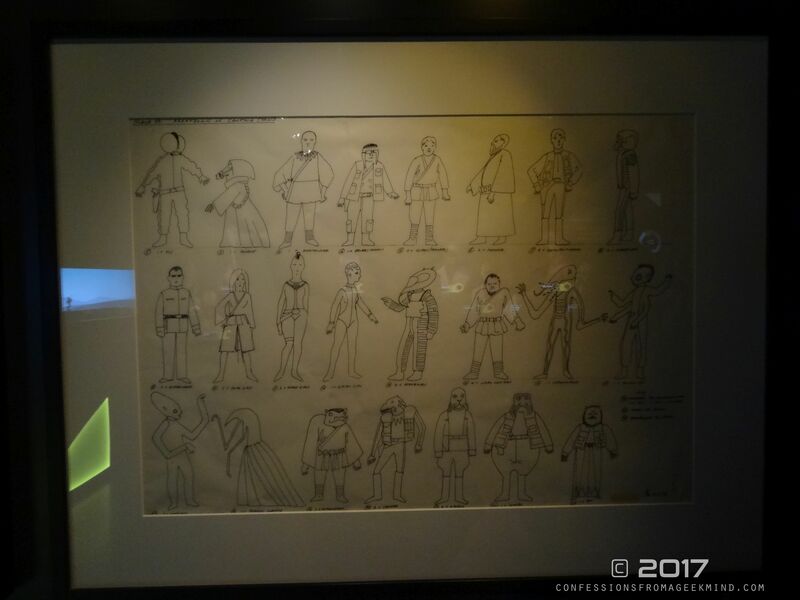 Not sure if the staff realised there was a fault but I ended up using my phone as a light source so that my camera could get a decent photo without the over-exposure from the flash. 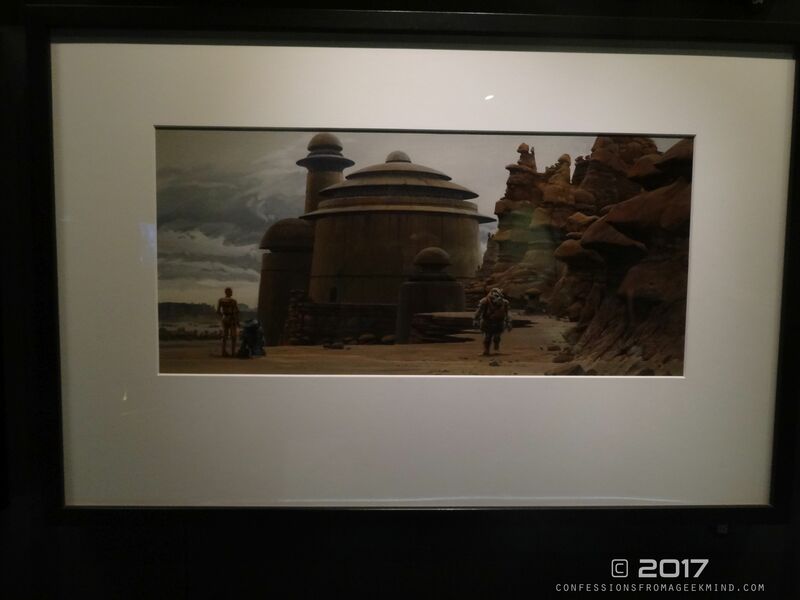 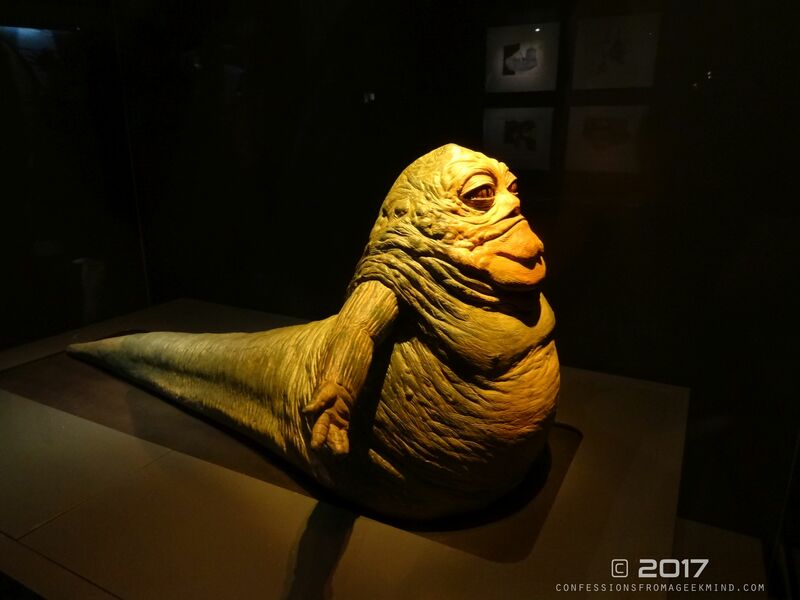 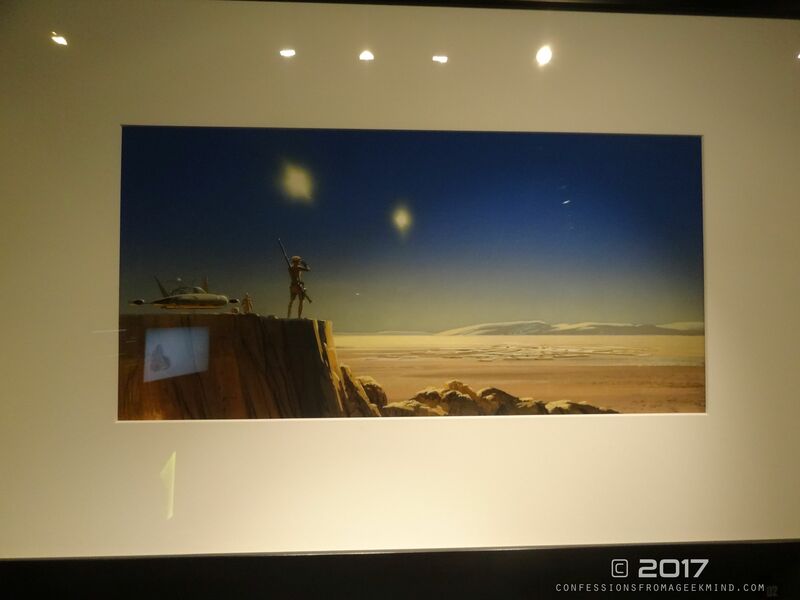 While the interactive materials acknowledge you’re viewing exclusive materials from the Star Wars production vaults, a £25 entry fee for a single adult might be a little hard to justify that expense for people who are price conscious. 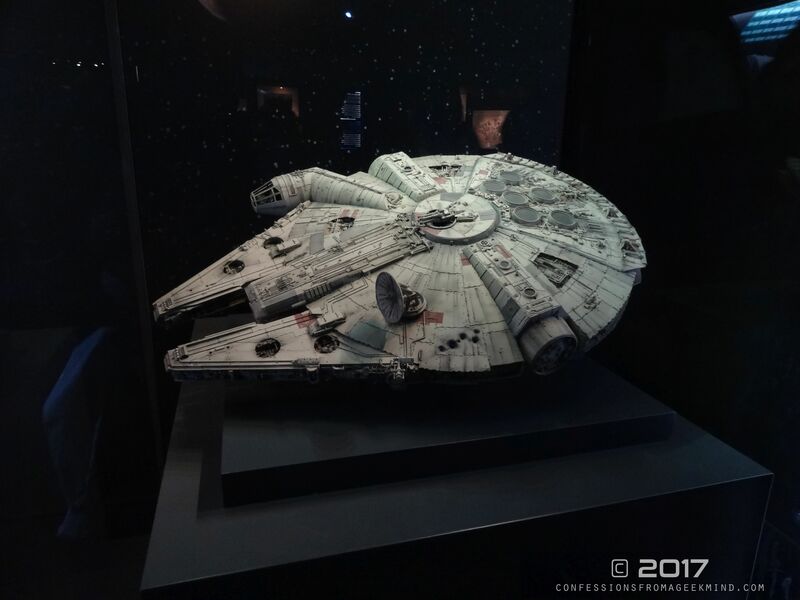 It represents the premium end of the payment scale in comparison to other film/TV related exhibits around London which are comfortably under the £20 bracket. 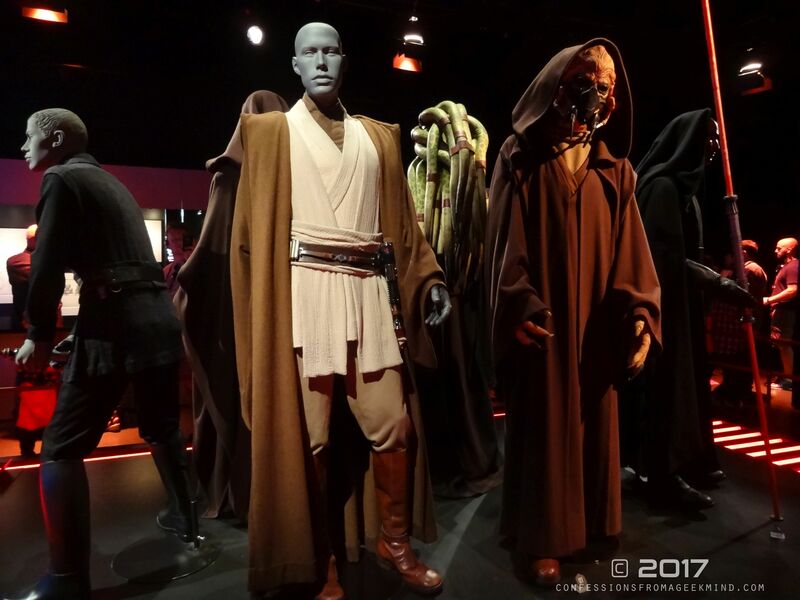 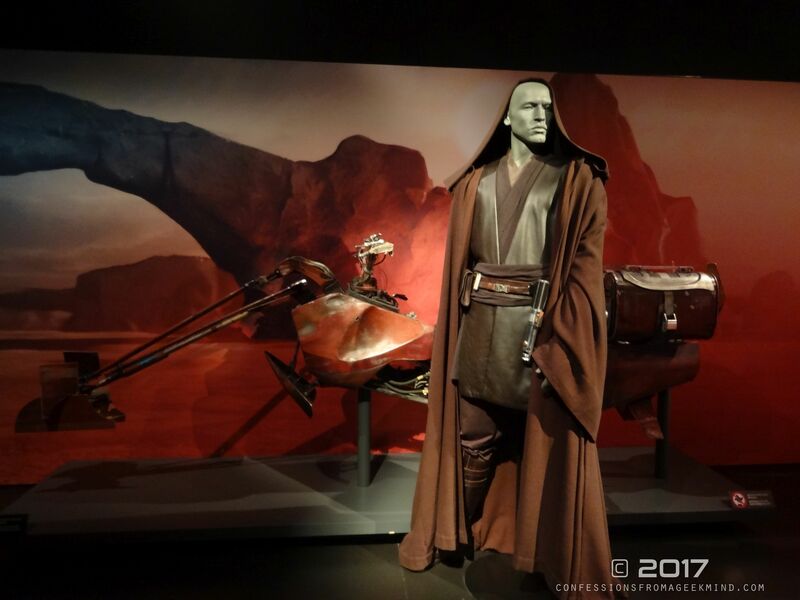 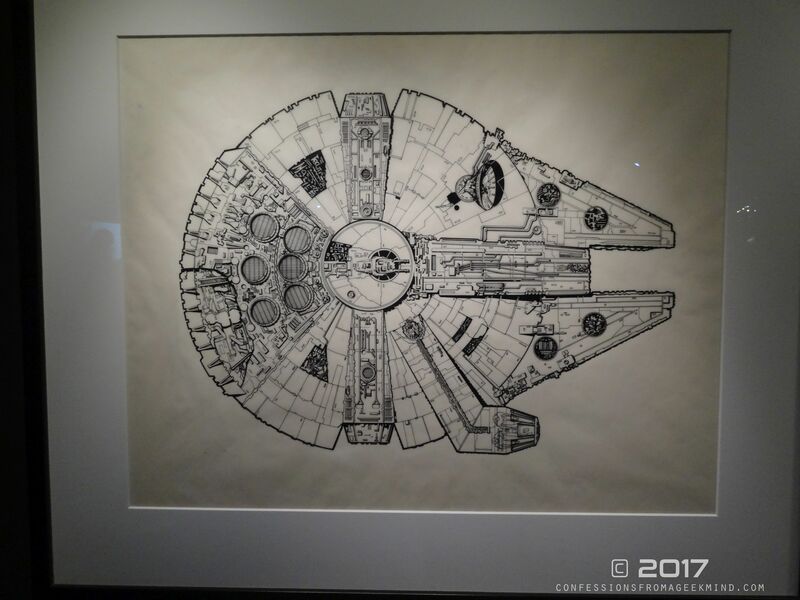 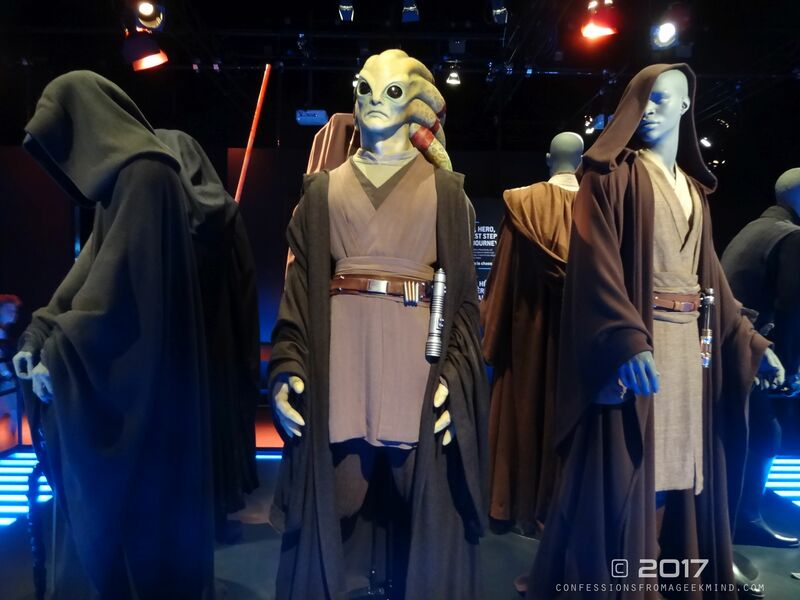 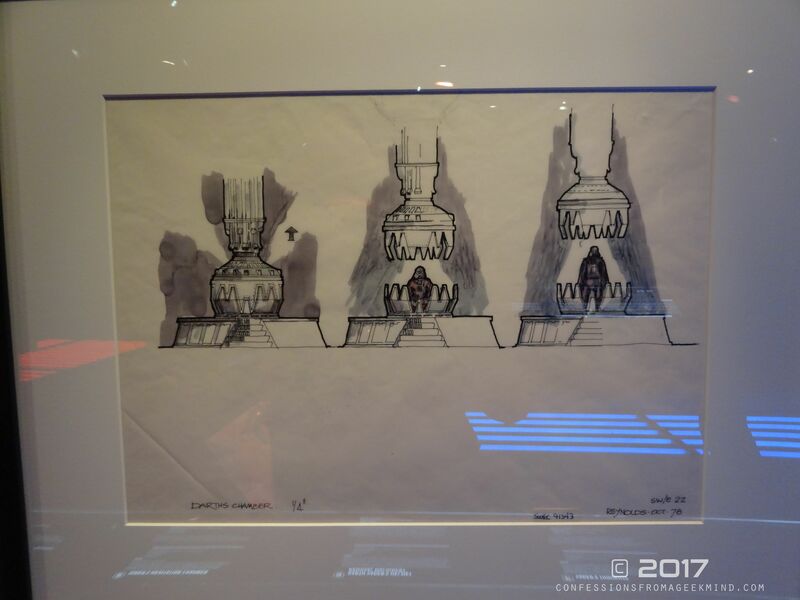 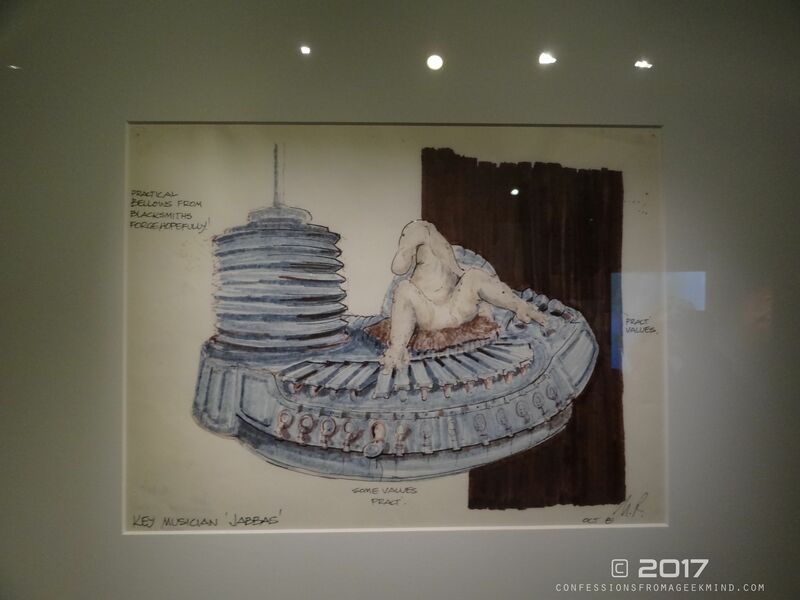 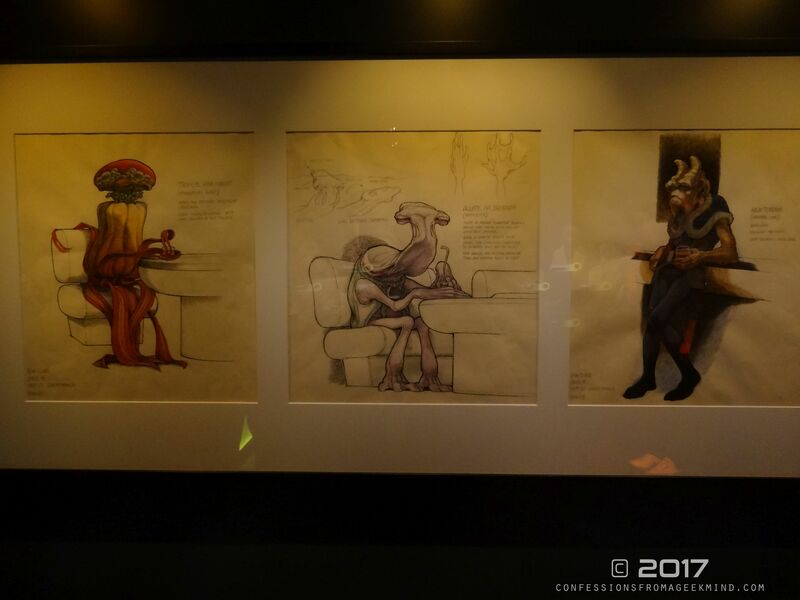 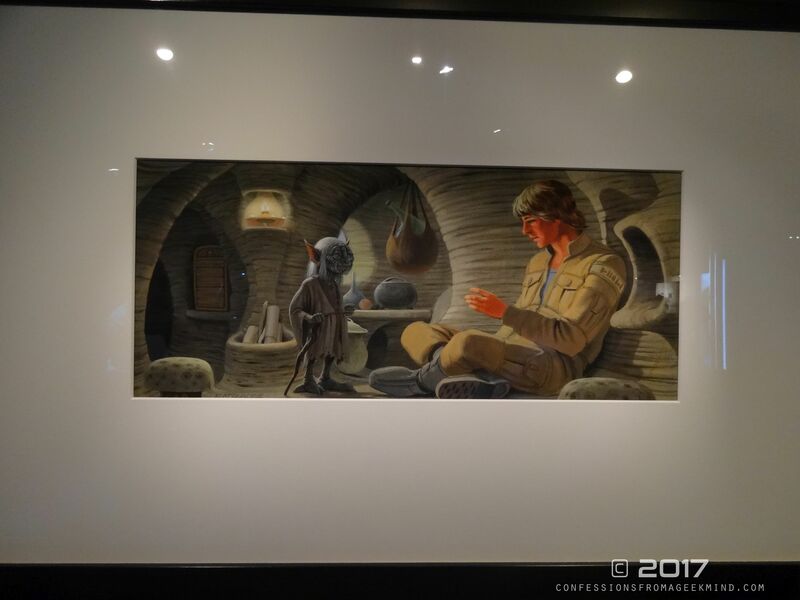 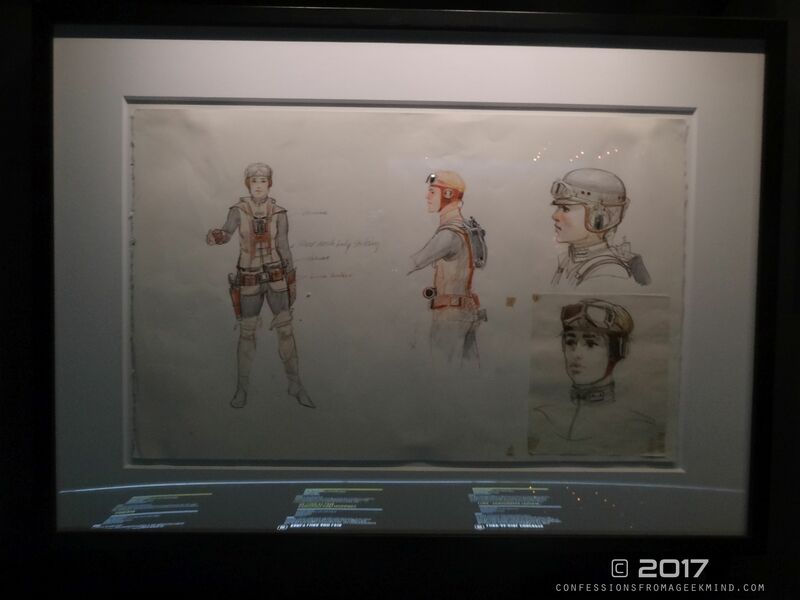 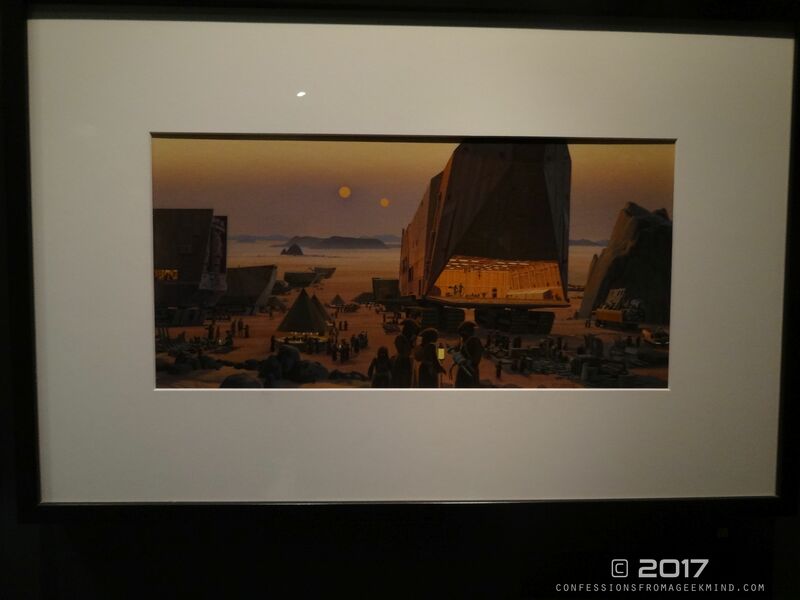 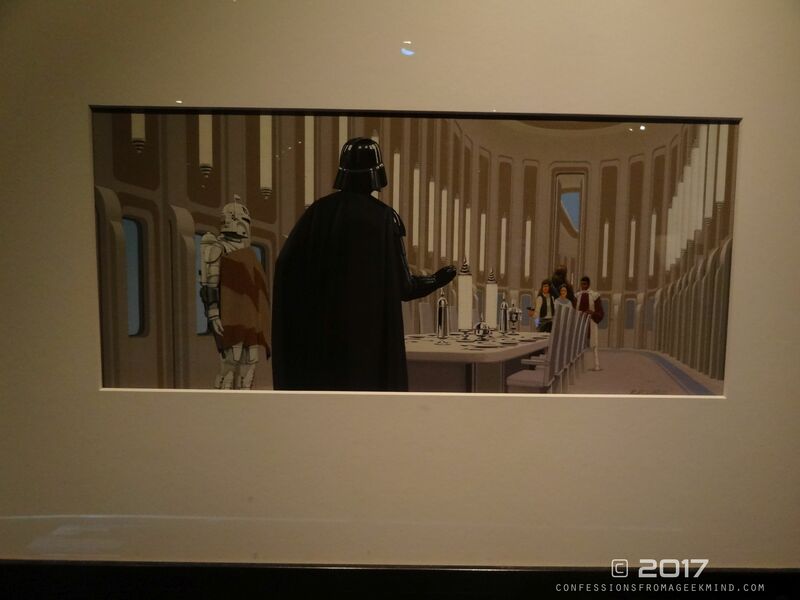 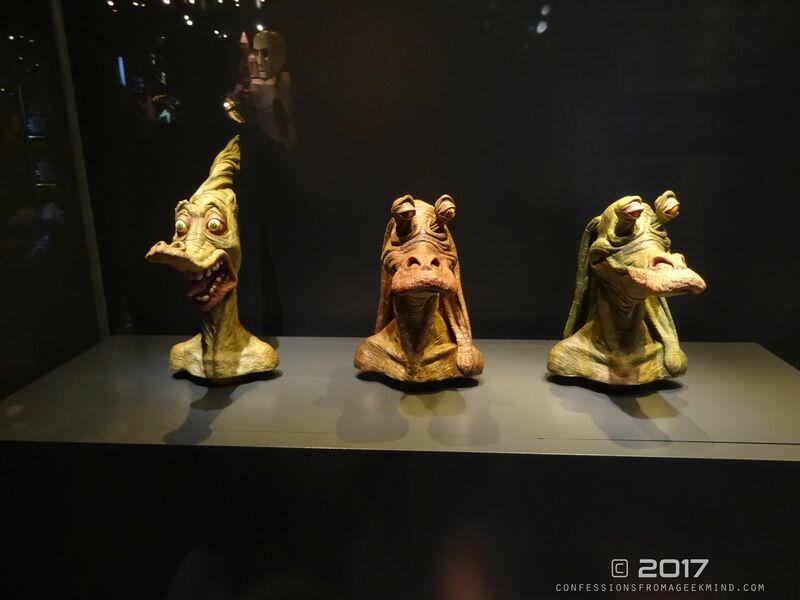 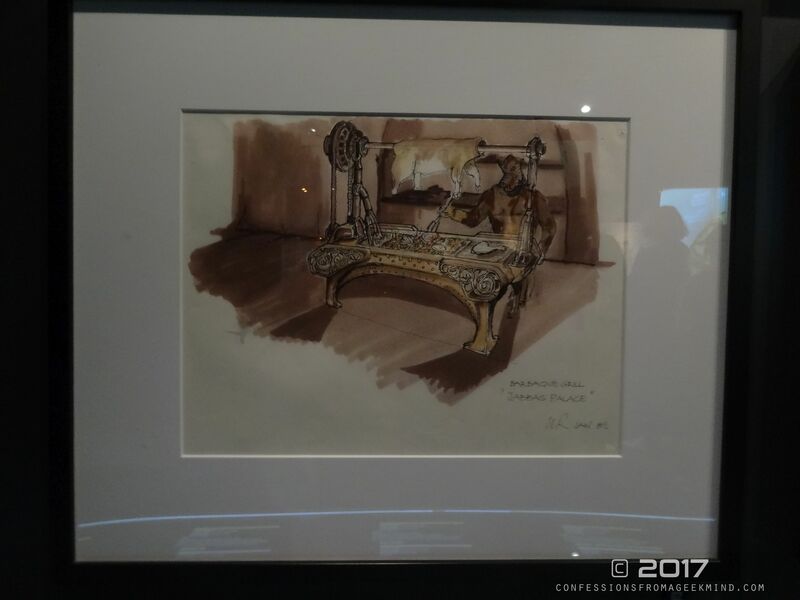 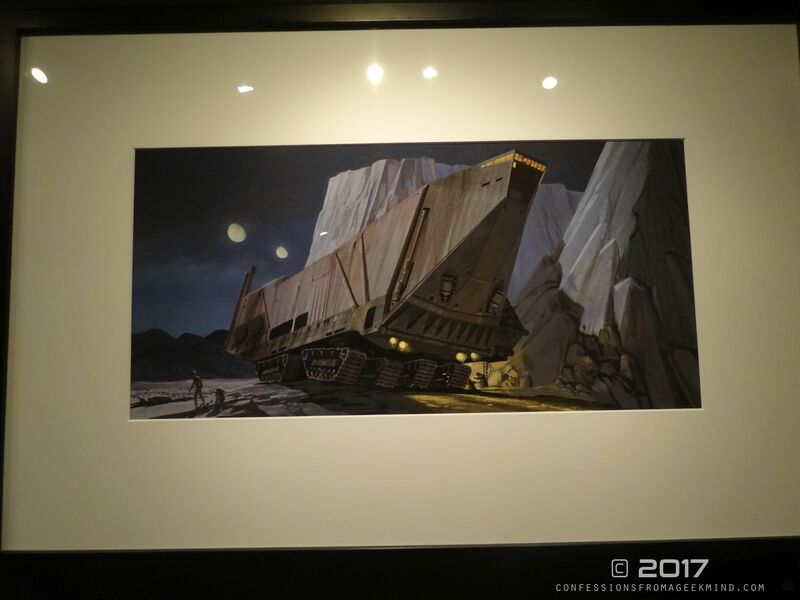 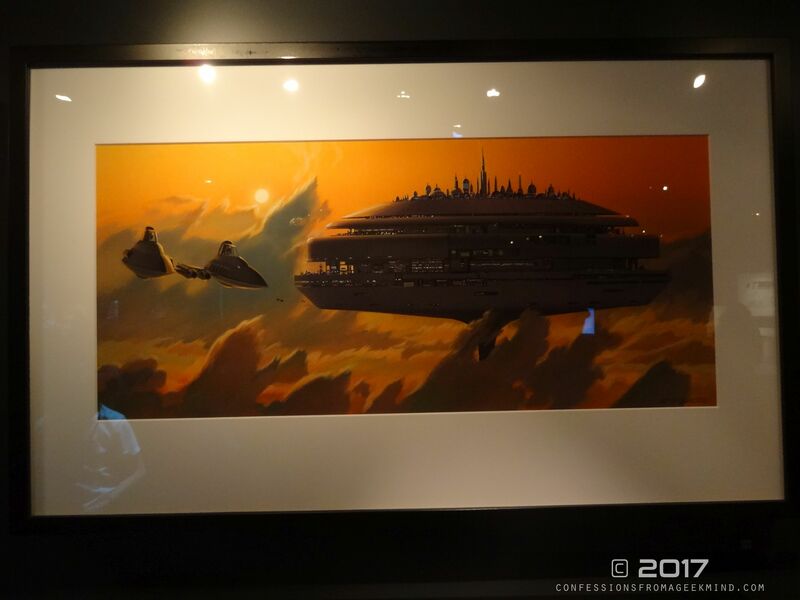 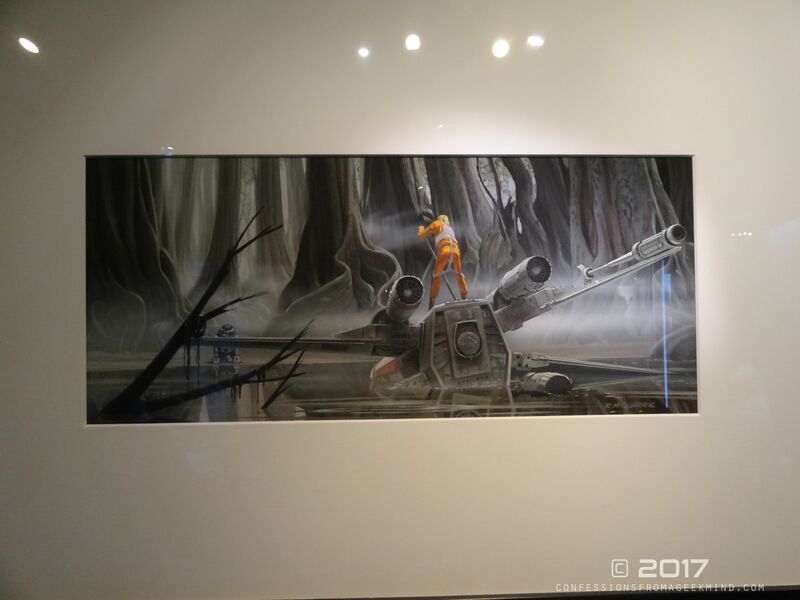 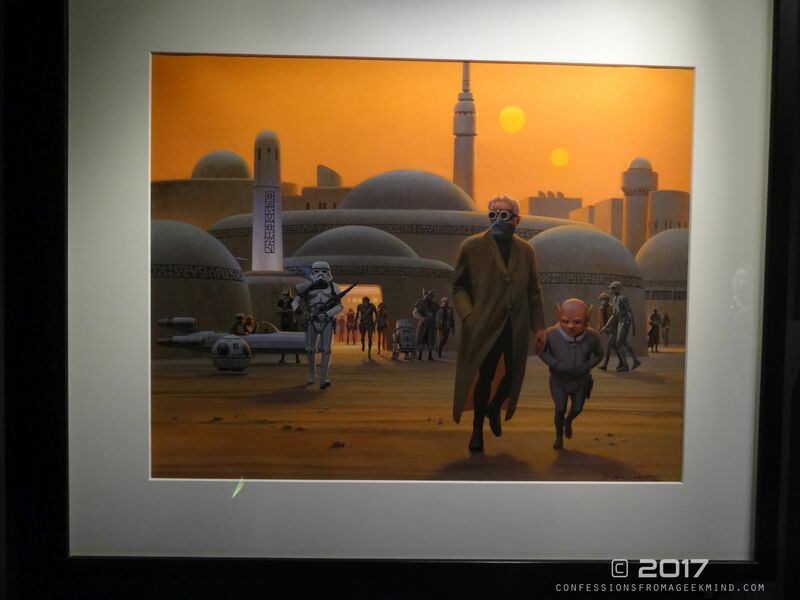 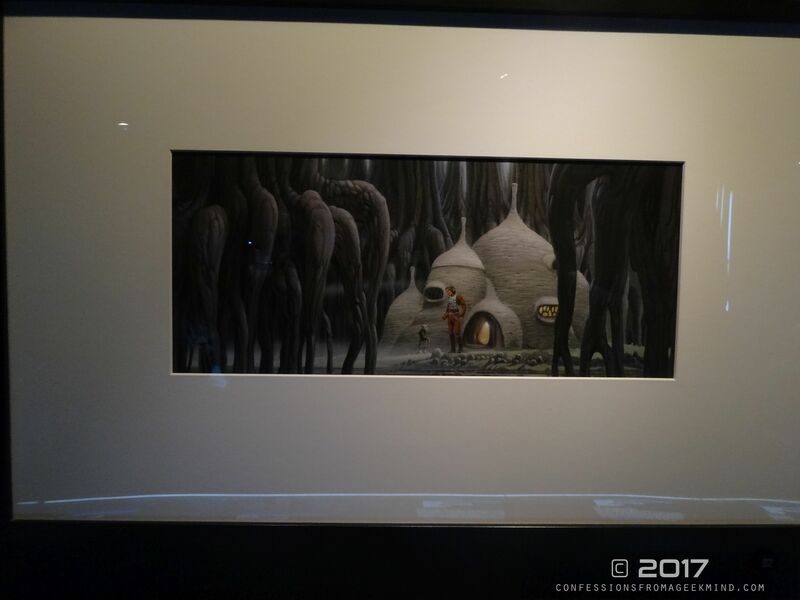 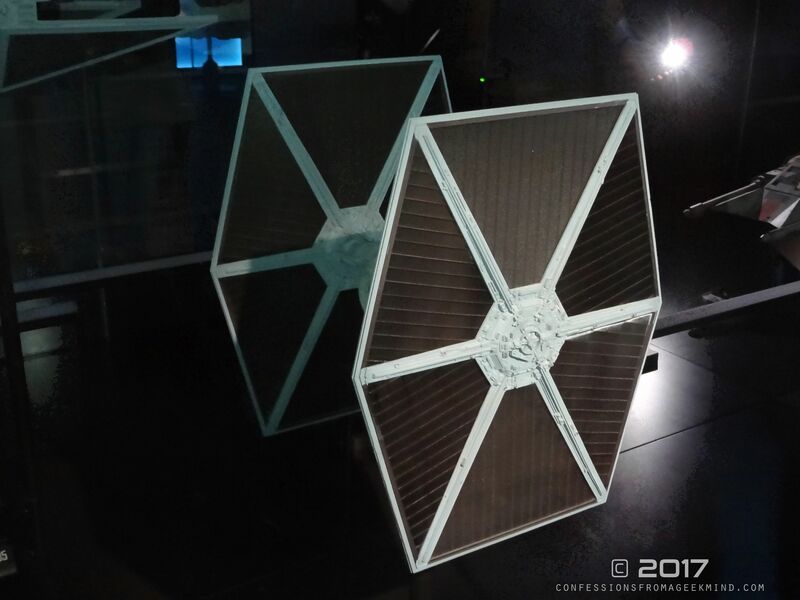 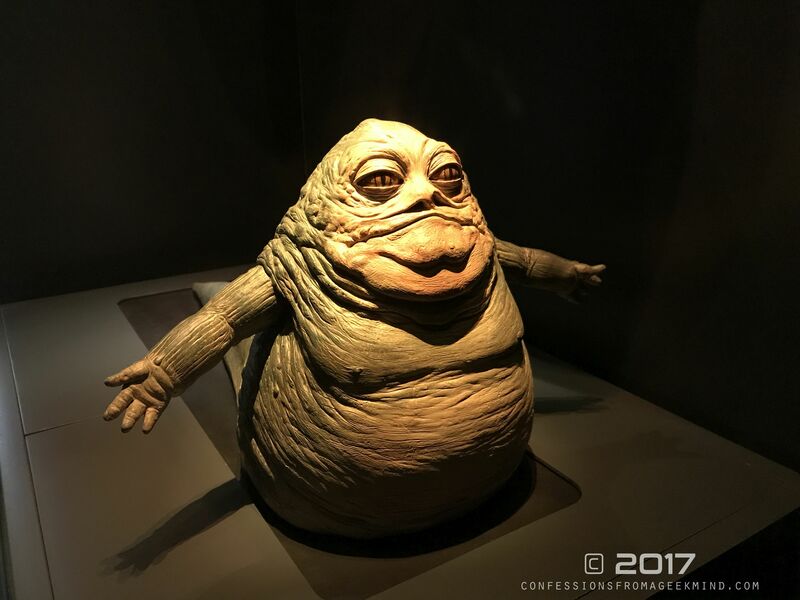 Besides those sticking points, Star Wars Identities comfortably accomplishes a rare opportunity for fans to explore a familiar world a little differently. 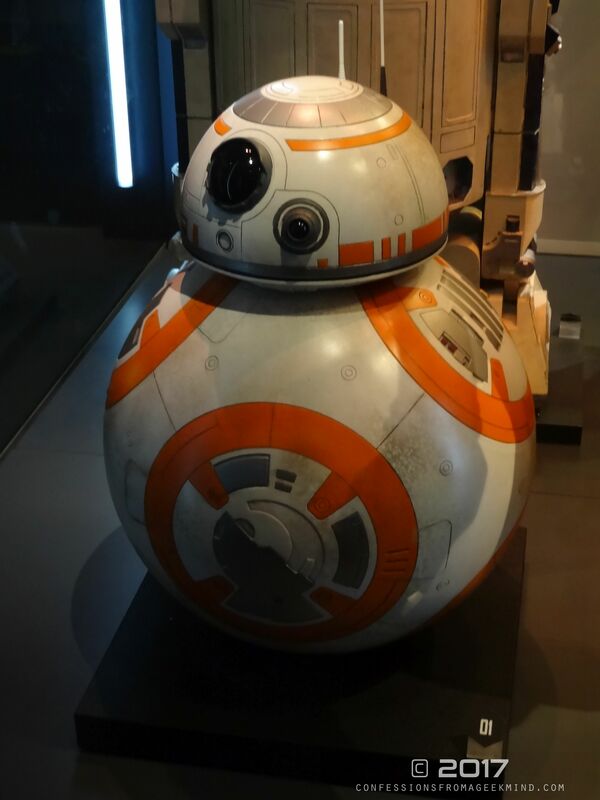 Because of that interactivity, the possibilities can be boundless and fun. 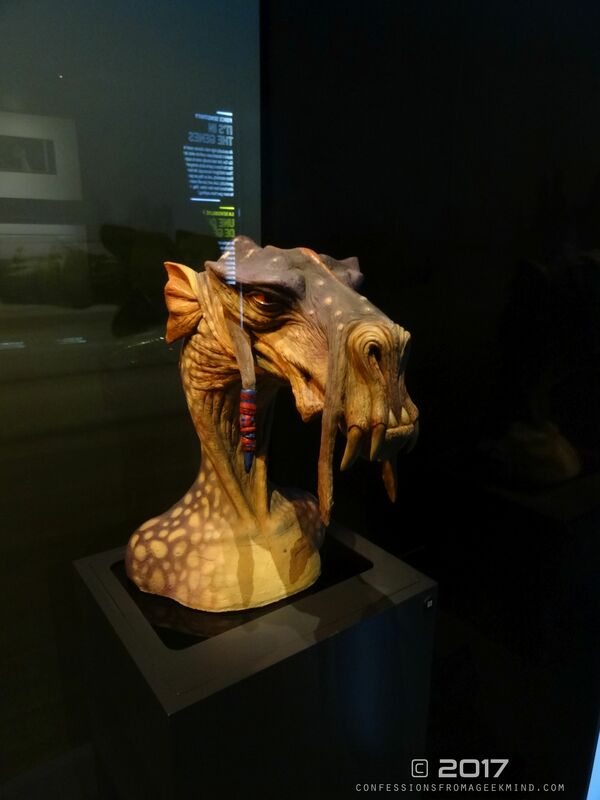 Oh and in case you’re wondering what I created, I was in a bit of a Game of Thrones mood and picked a dragon-looking, Bane masked species and called her Dany. 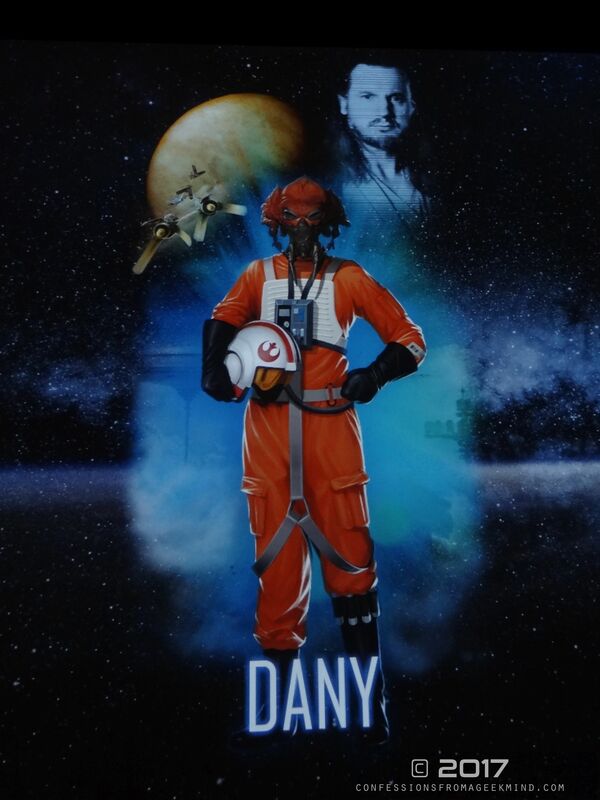 Ironically she also escaped slavery and instead of a dragon she flies an X-Wing. 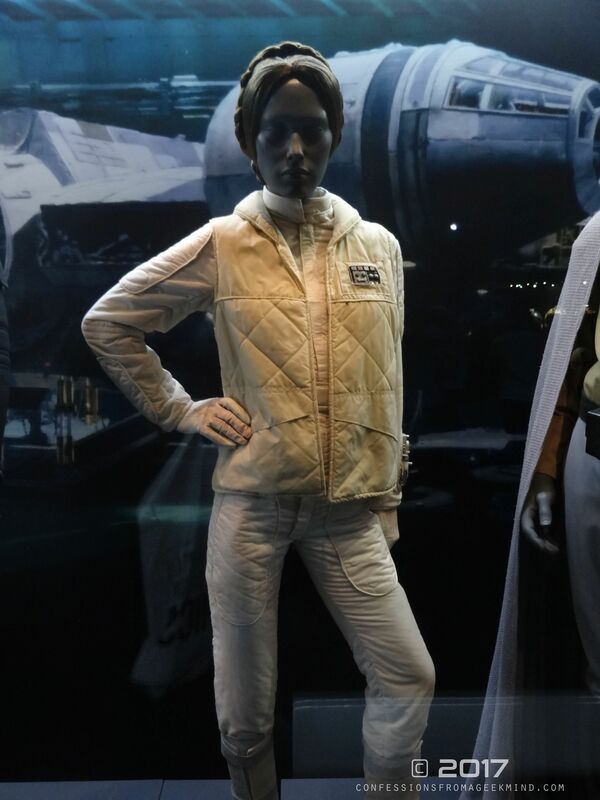 Welcome to the Rebel Alliance Khalessi. 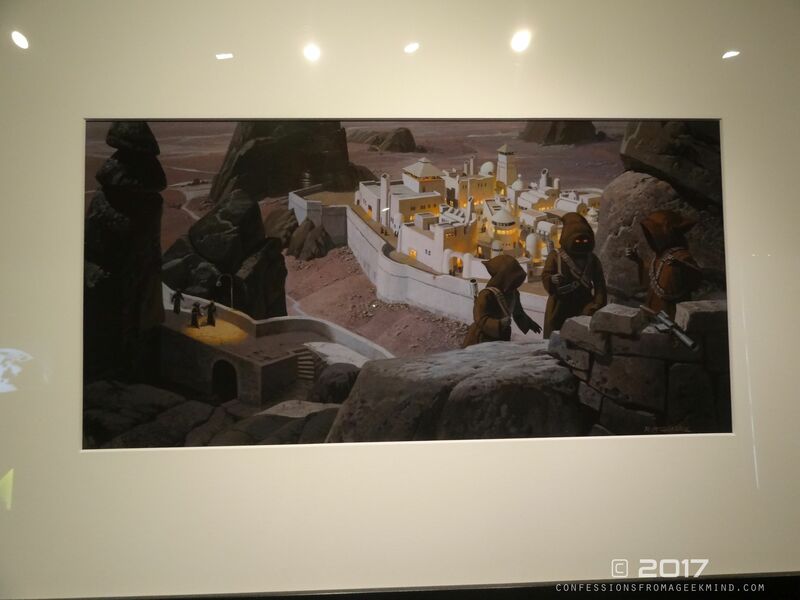 To explore the gallery below, click on an image to enlarge.